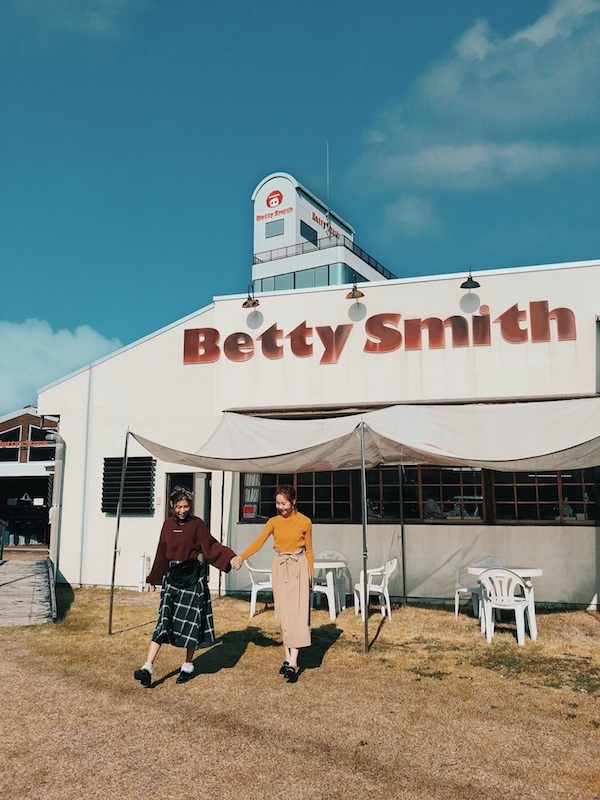 Hello Sweetie✨Welcome back to my blog and today I'm going to show you guys my must go places in Okayama again. 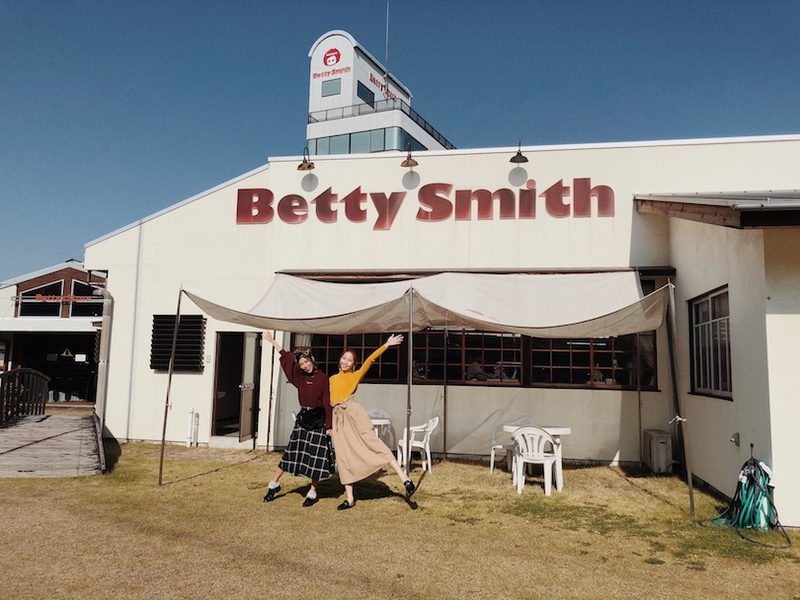 Omg I'm so happy that I'm able to take you through the whole trip and showing you guys the beautiful side of Okayama. 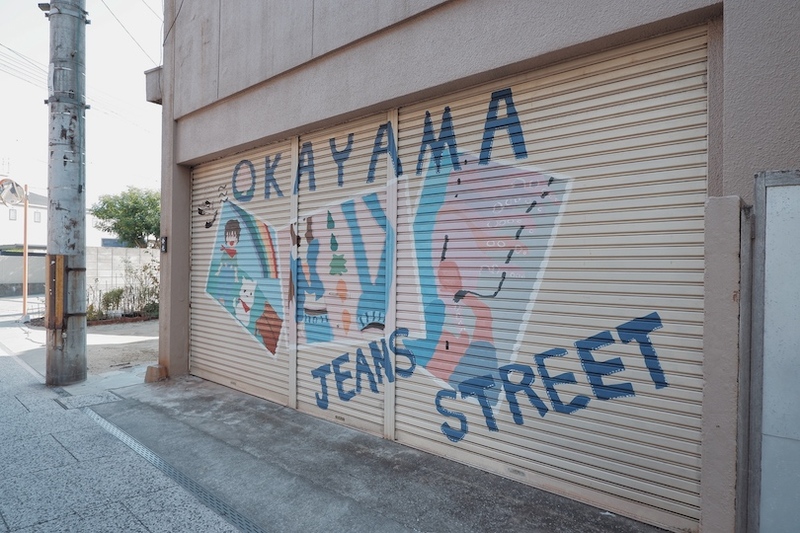 As I mentioned on the Okayama Part #1, denim and washi tape are originally from Okayama prefecture and it only takes 1 hour to Okayama from Osaka. 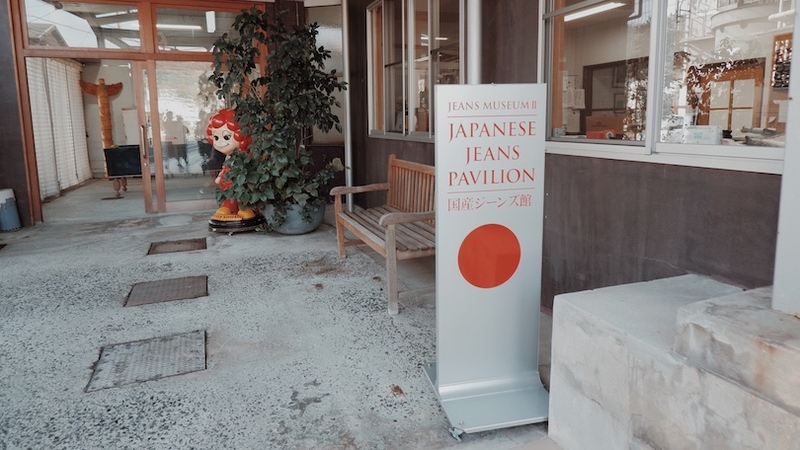 Except for the historical side, I'm going to take you through the Betty Smith Jeans Museum & Village and Kojima Jeans Street. 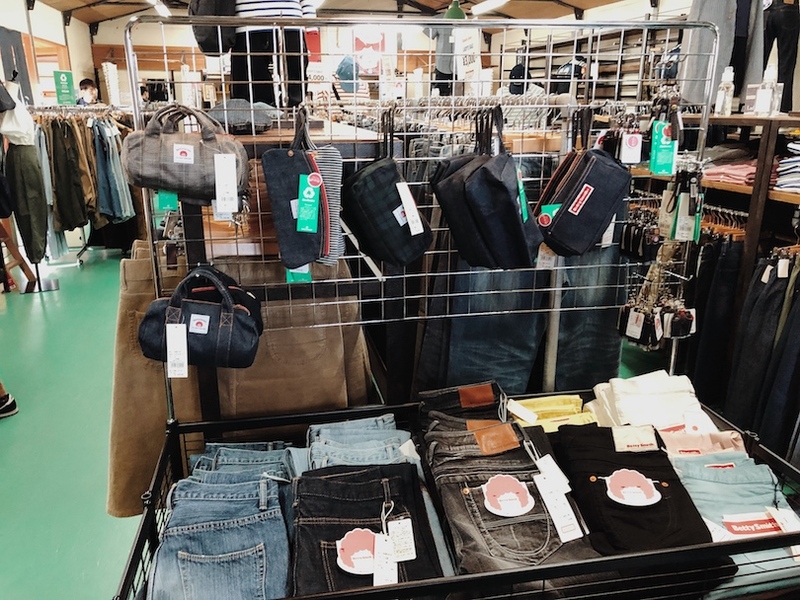 If you are a fan of denim jeans then you might be surprise with everything I mentioned on this blog post. So guys are you ready? Let's get started! 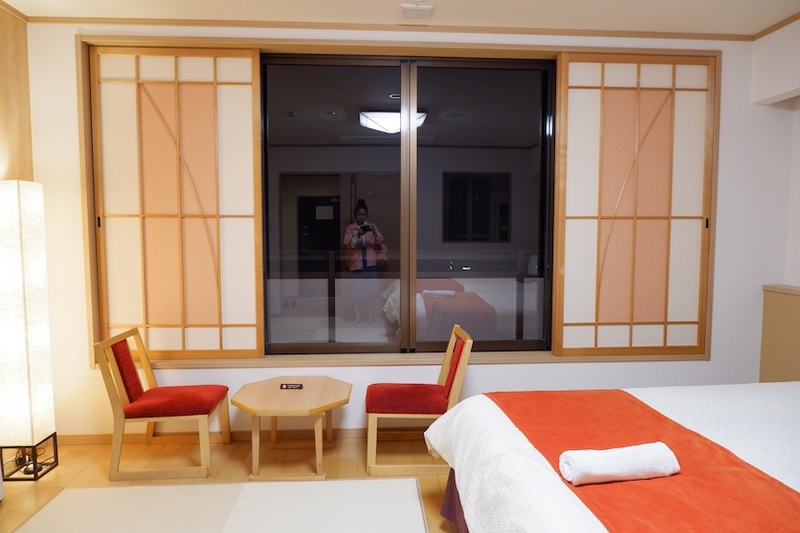 I was really surprise the onsen hotel experience in Okayama. 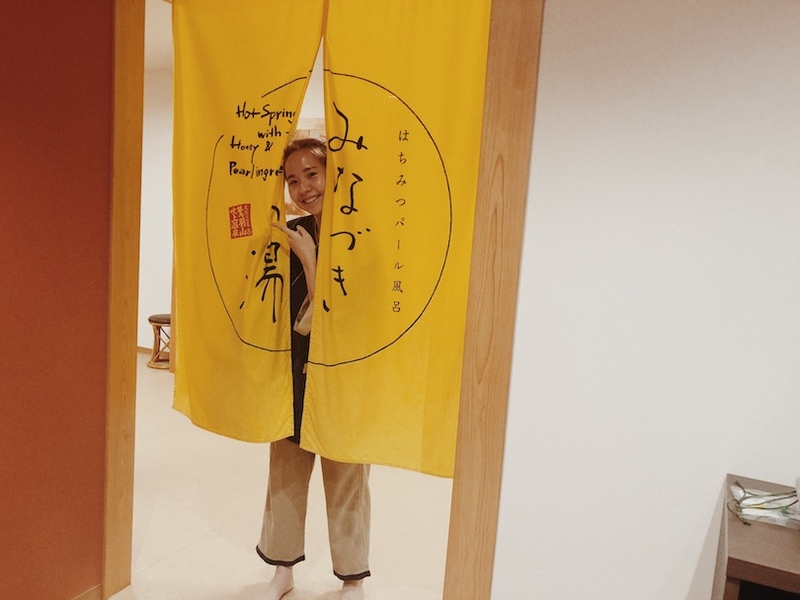 I mean this is the best onsen hotel experience I have. 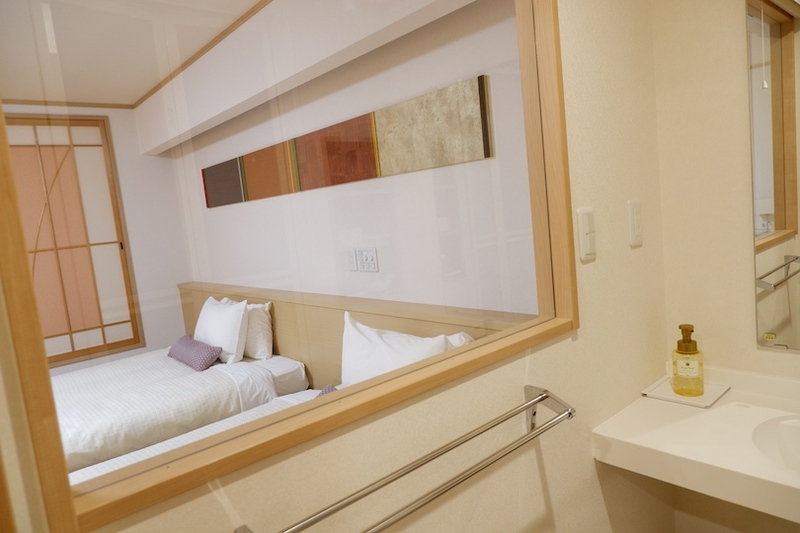 I super duper recommend you to spend one night at Washu Highland Hotel. 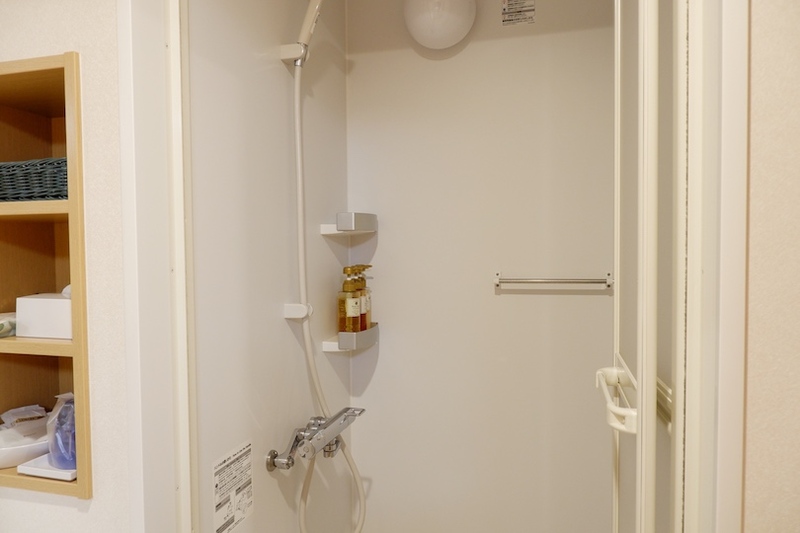 The facilities and accommodation was super new and clean. 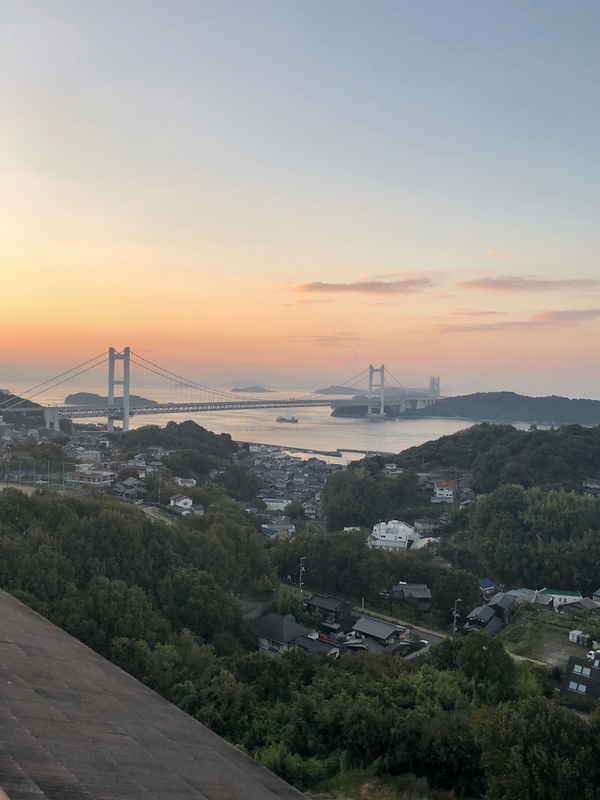 One big point is the incredible view from our hotel and also their signature Honey & Pearl onsen that I mentioned on my #1 Okayama blog post. 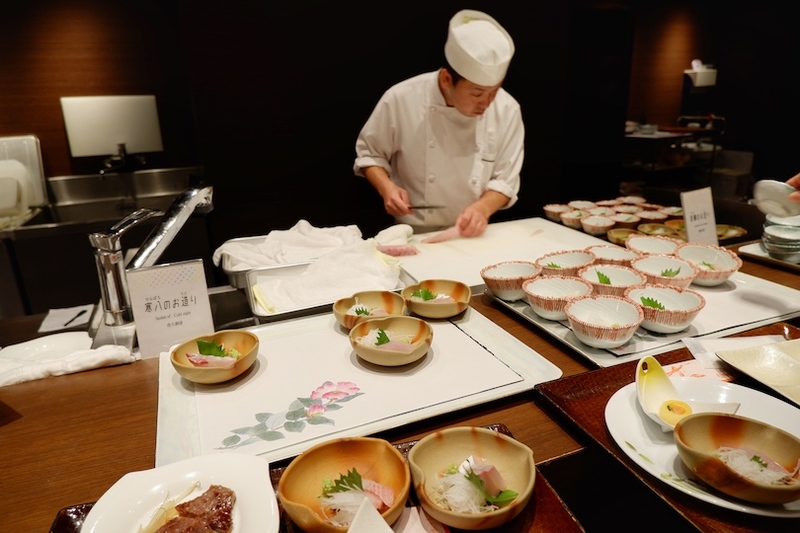 Apart from that, the hotel dinner is buffet style with lots of seasonal dishes and of course the best part is, fresh sashimi/ sushi. 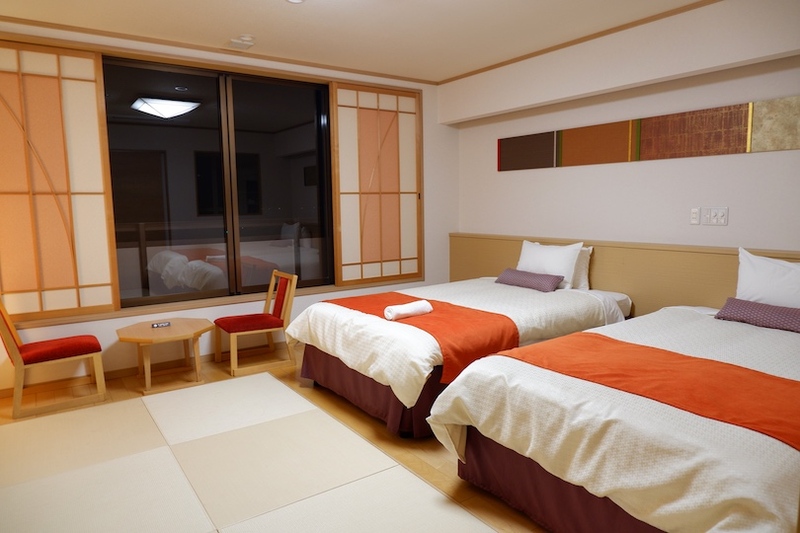 It's not my first time experience staying at onsen hotel but if you ask me to recommend one best onsen hotel staying experience I will tell you this hotel without further thought. 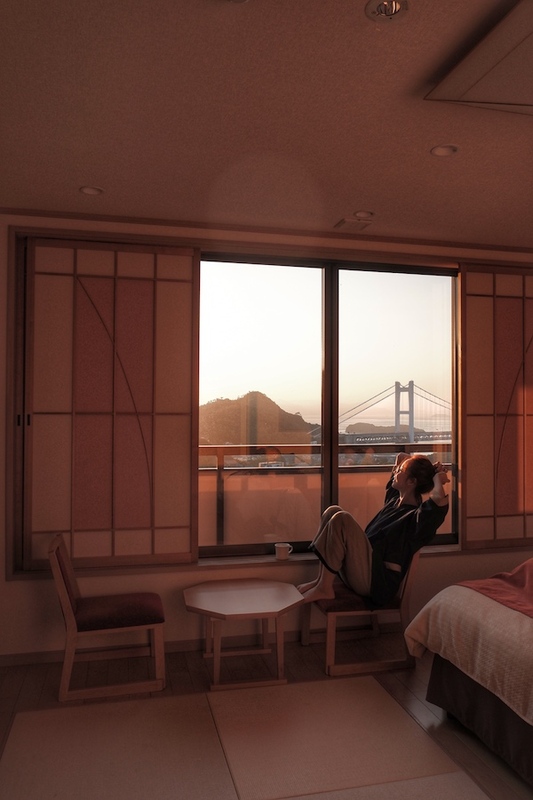 There are sky view hot spring experience on the highest floor of the hotel and the indoor version will be the honey & pearl hot spring. 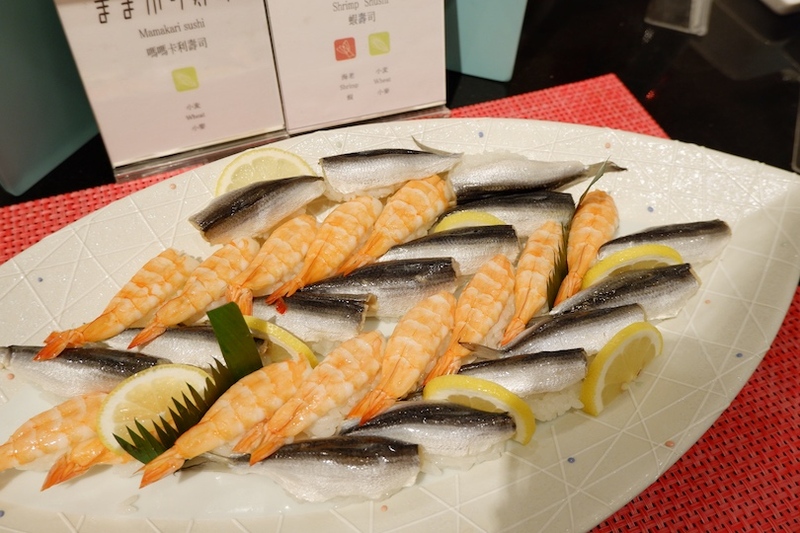 This buffet has the local famous fish sushi- Mamakari sushi! 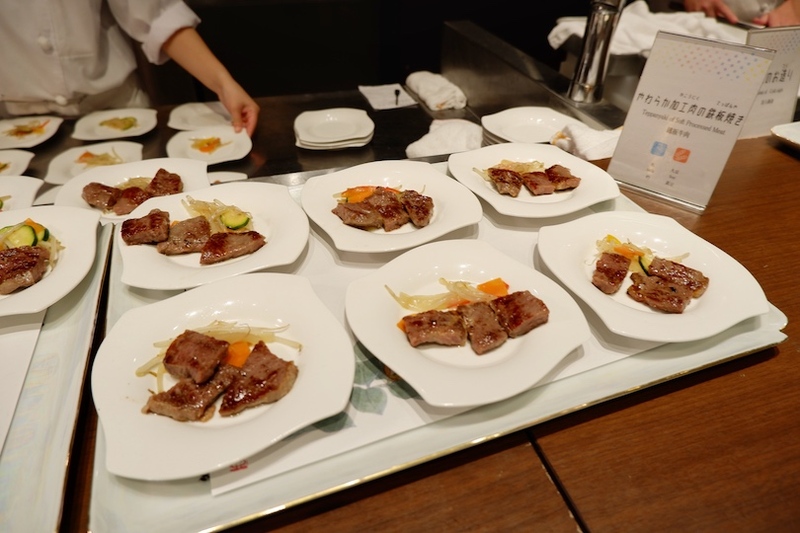 This is what we called as Oden. 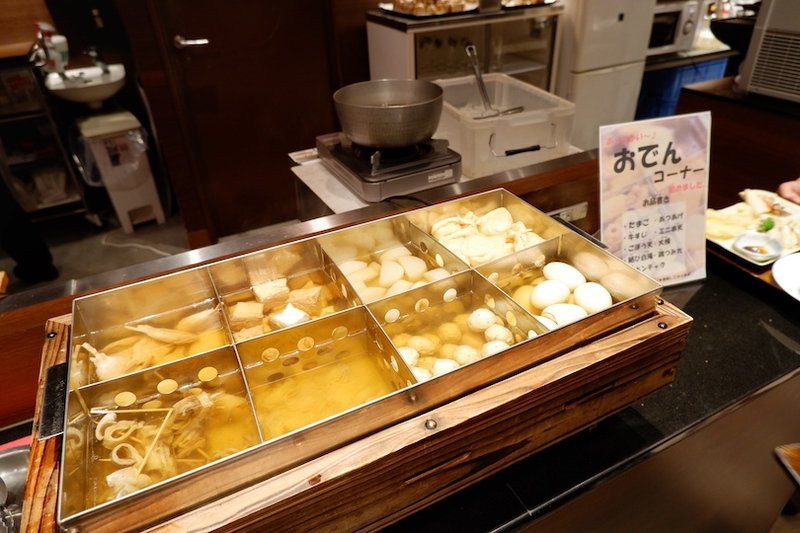 Sometime when I want to introduce oden to my friends, I would say it's Japanese style steamboat lol. You will spot this everywhere in convenience store. 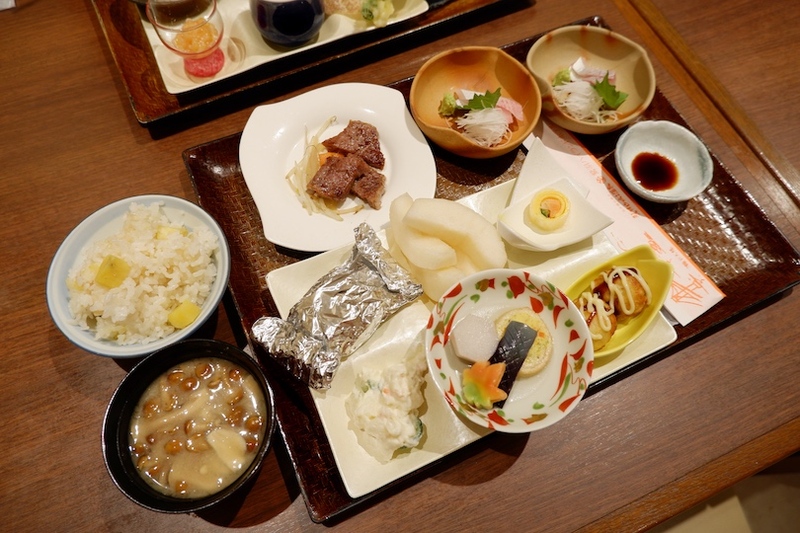 It is actually a Japanese one-pot dish consisting of several ingredients such as boiled eggs, daikon, konjac, and processed fishcakes stewed in a light, soy-flavored dashi broth. Also must highlight their mushroom miso soup and the cheesy potato omg! Damn good also. Apart from that their fruit is sooooo soooo sweet! 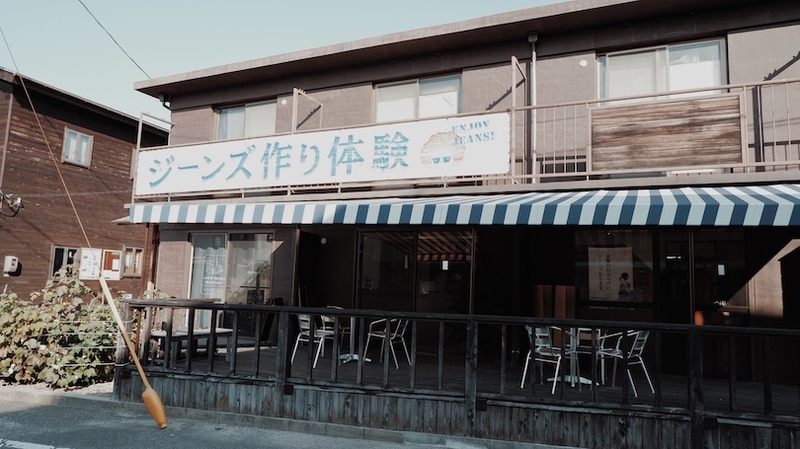 Damn I spent so many days in Okayama changing hotel once everyday, this is the no.1 that I would recommend to my friends and you guys. Please, if you happen to come here remember to stay one night at this beautiful hotel. You won't regret and I love it just because of the value of money. Drunk lol. You see what am I holding? 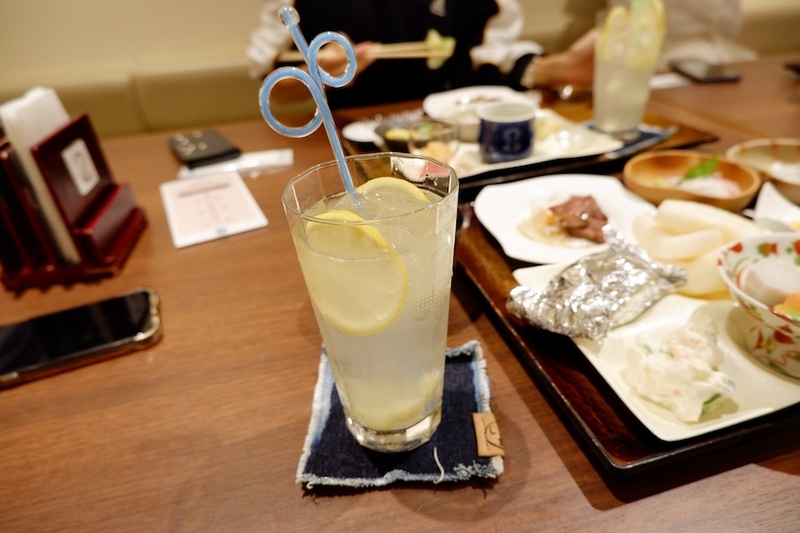 It's their sea salt + lemon alcohol drink but it taste so good until I forgot it's actually an alcohol drink. You know I dont usually take alcohol but this one is damn good! It doesn't taste alcohol at all and that's why you need to be careful not over your limit. 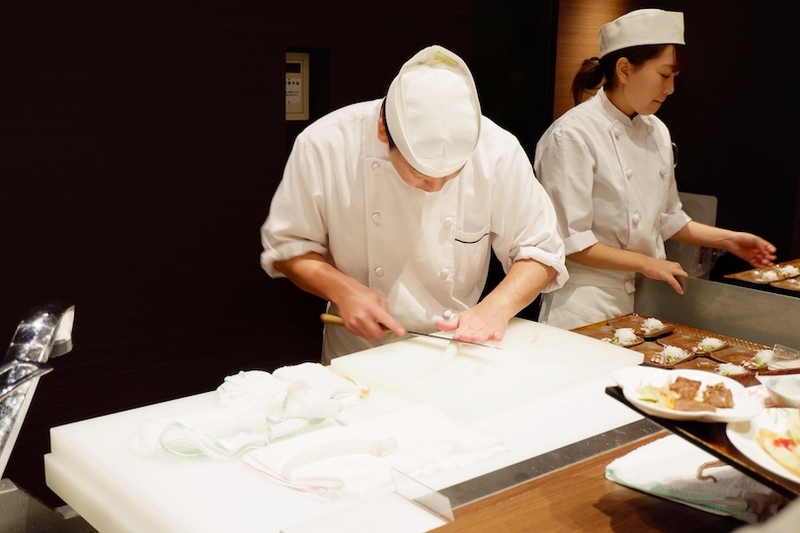 In the middle of our dinner time, I'm really surprise the hotel has a live demo. 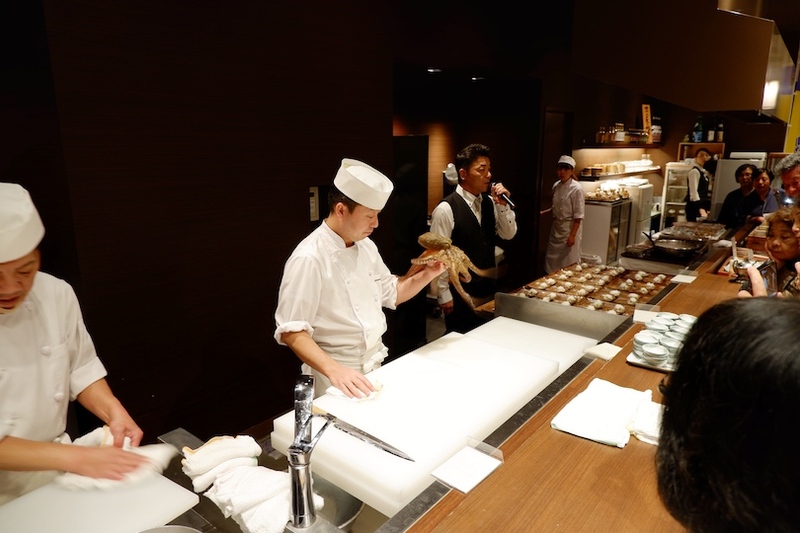 They going to serve us the raw octopus sashimi. OMG It's really my first time seeing it right in front of me with music and emcee hosting the performance lol. Speaking about my hotel room!! 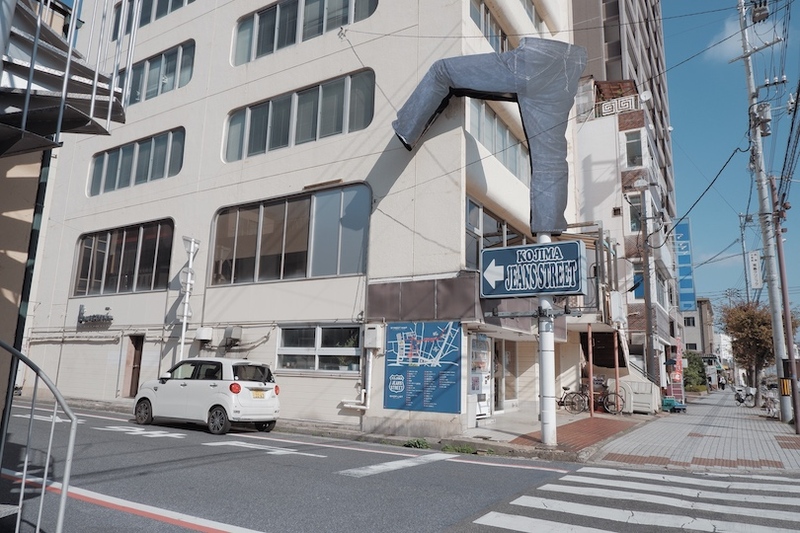 Omg guys you might just want to hide inside my luggage and follow me for an overnight stay at this awesome place. 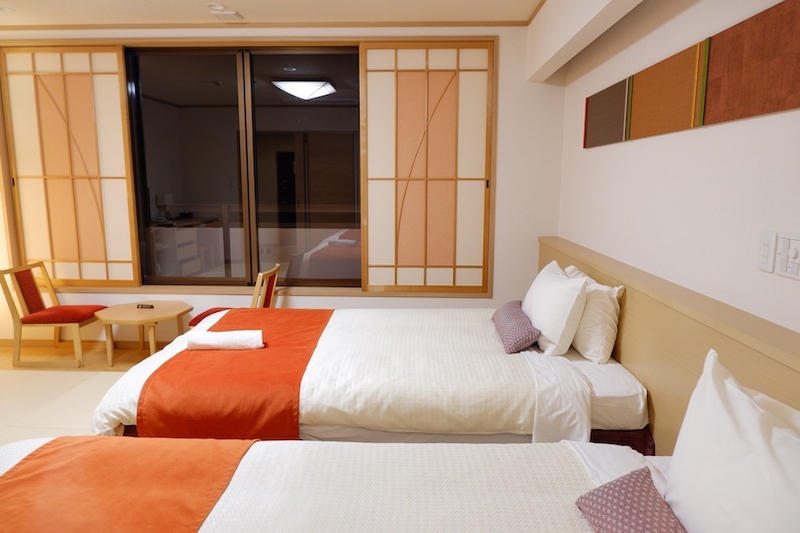 Unlike those traditional hot spring hotel, this is more like a western + traditional type and I need to say it again, it's very clean. The best part is they even stated the sunset and sunrise time for us. 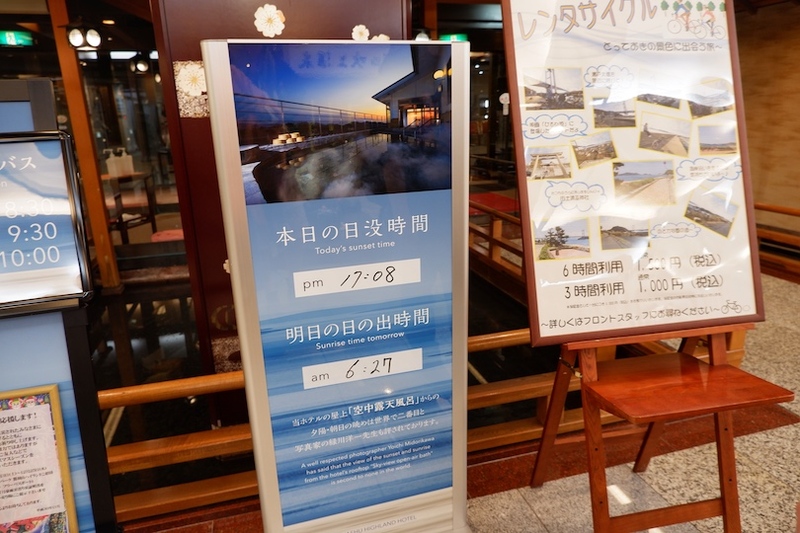 If you are here, remember to try on the sky view onsen experience ok! 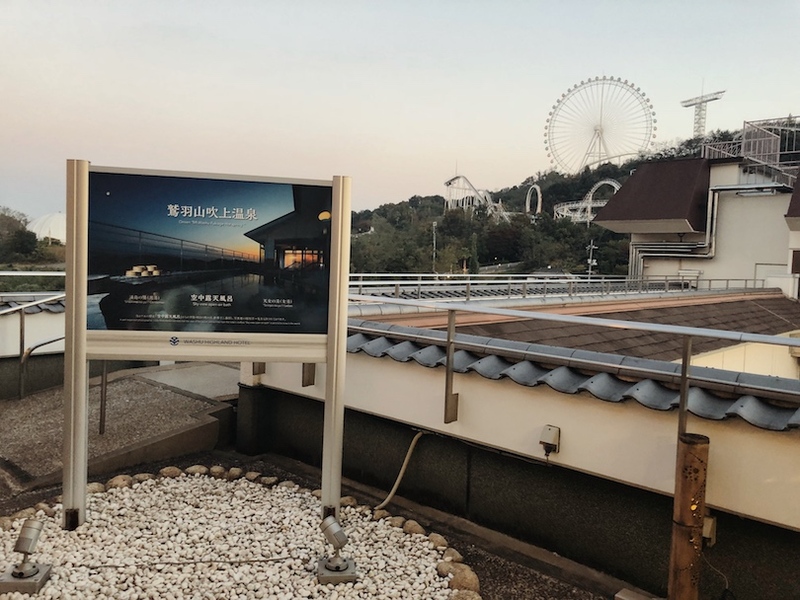 You can enjoy the sunrise with your naked body that soap inside the sky view hot spring lol. 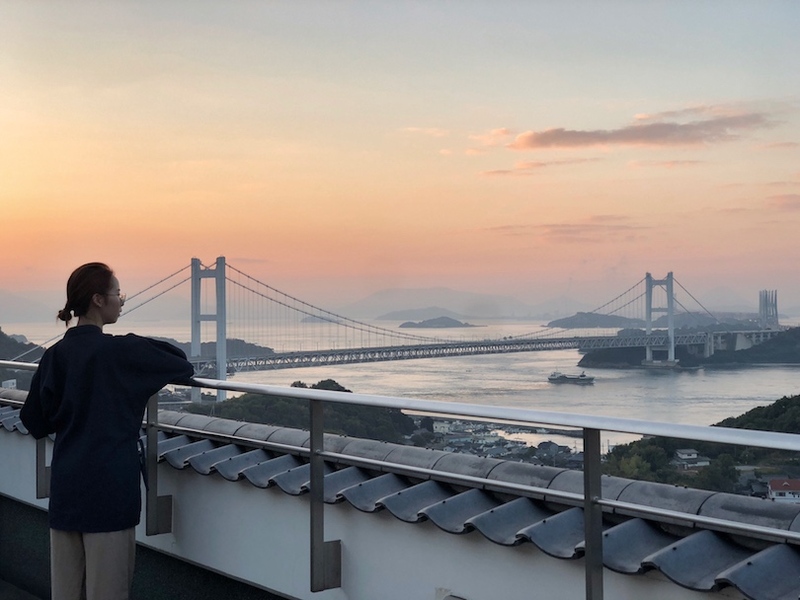 I leave all my belongings at my room and waking up at 6am just want to experience the beautiful sunrise from my hotel. 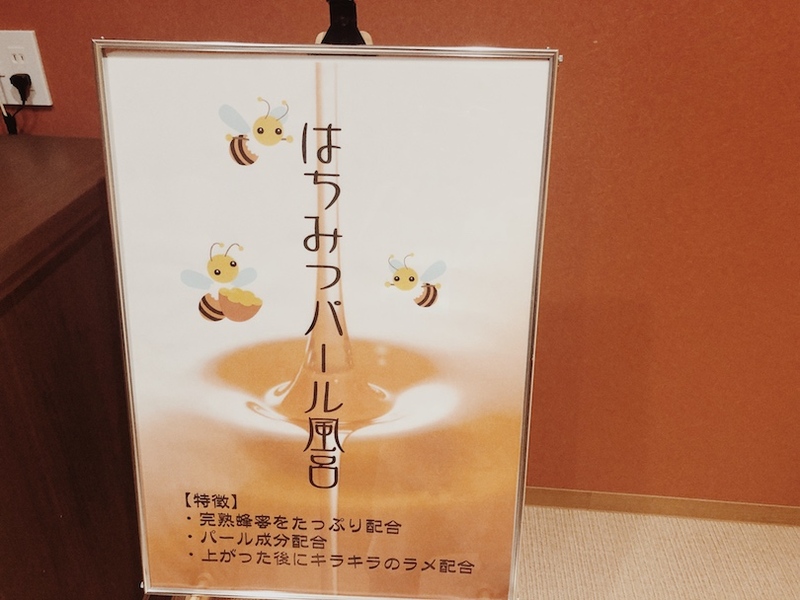 Actually I feel really sleepy in the morning but who cares, I do anything for onsen lol. Here you go, the view from the top of our onsen. The Great Set Bridge looking so beautiful with the cotton candy pastel sky. Photo without edit and I took this photo with my phone. 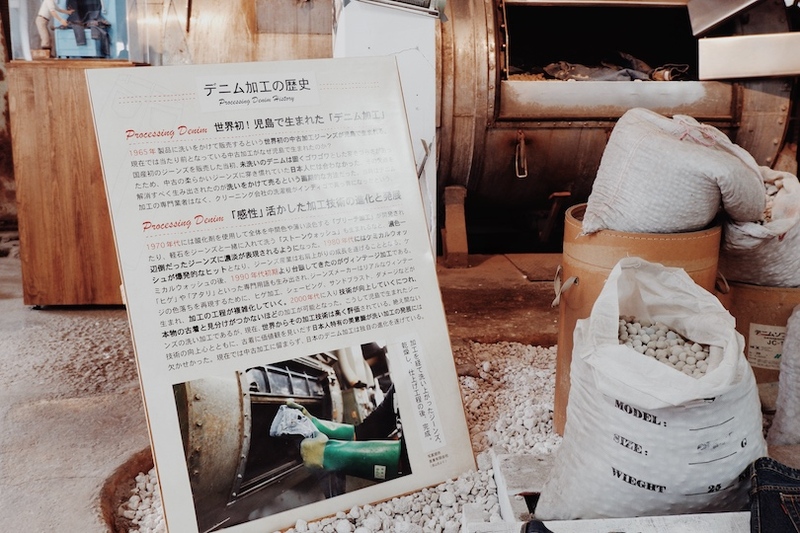 This is what I love about onsen. Beauty onsen some more. My skin turned so smooth and soft! 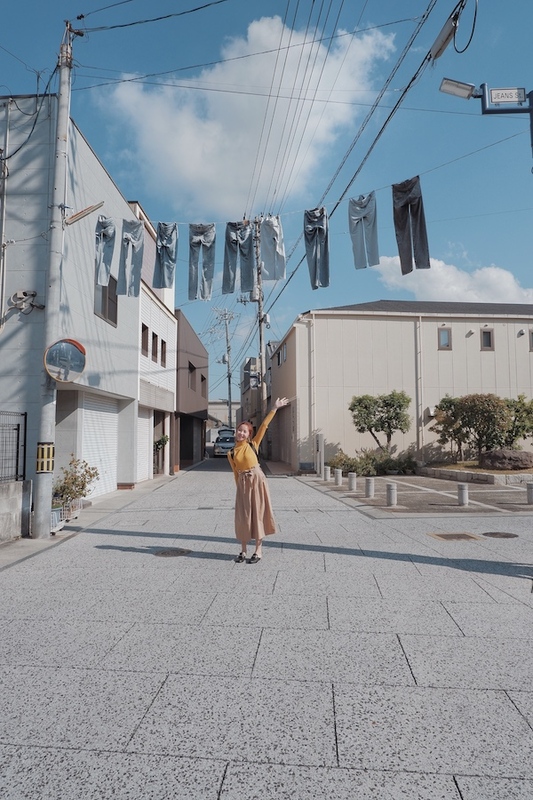 So after my onsen, we go back to our room, start packing our luggage, dressing up nicely and get ready to my favourite denim street. 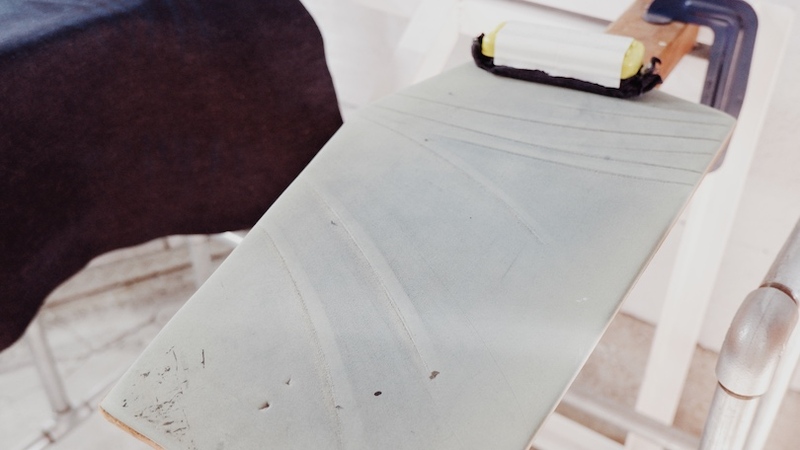 So this is the main highlight of this blog post guys! 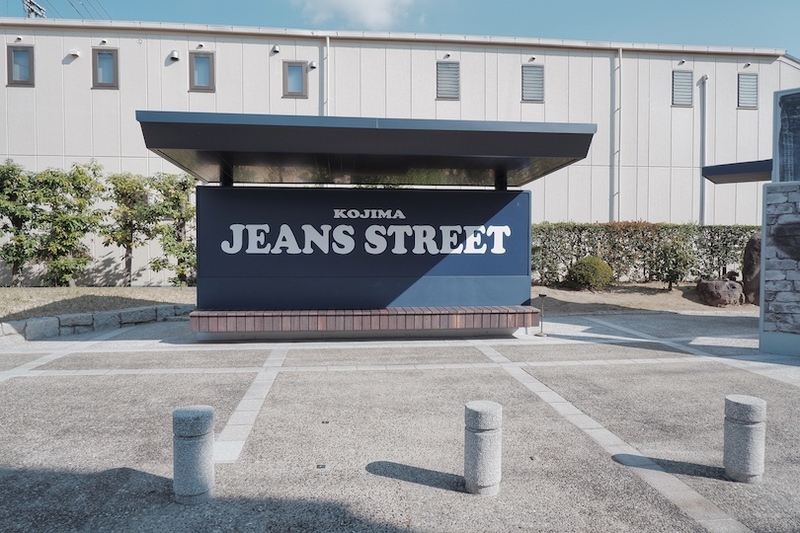 Actually both Kojima Jeans Street and Better Smith Jeans Museum is just nearby. It's 10 mins away from each other and I would recommend both for you guys. 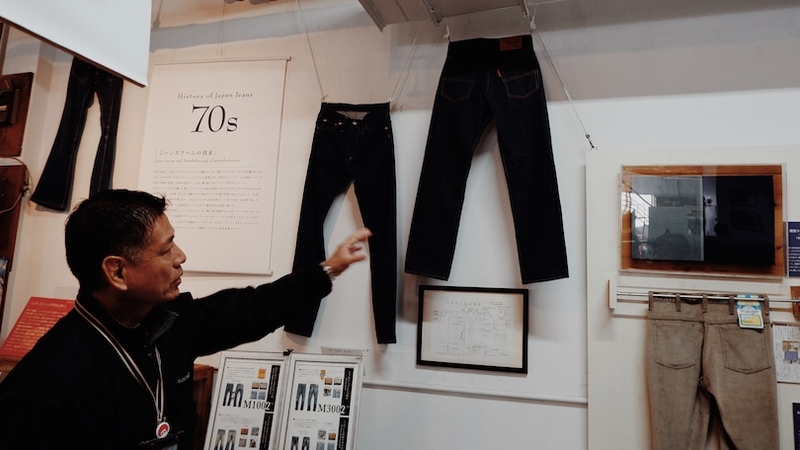 It's really my first time get to know more about denim jeans. 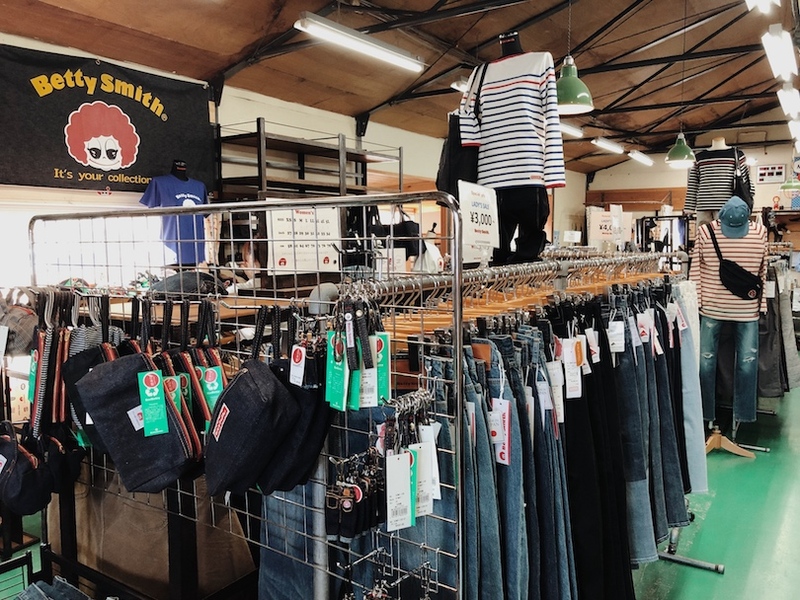 If you can only spend one day in Okayama, you can visit Kurashi in the morning and spend your remaining time at Kojima Denim Street, then go back to Osaka. 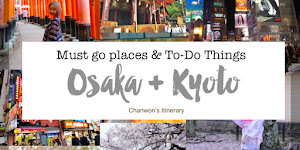 Or else if you plan a 2D1N here in Okayama, you can cover 60% of my itinerary in Okayama. 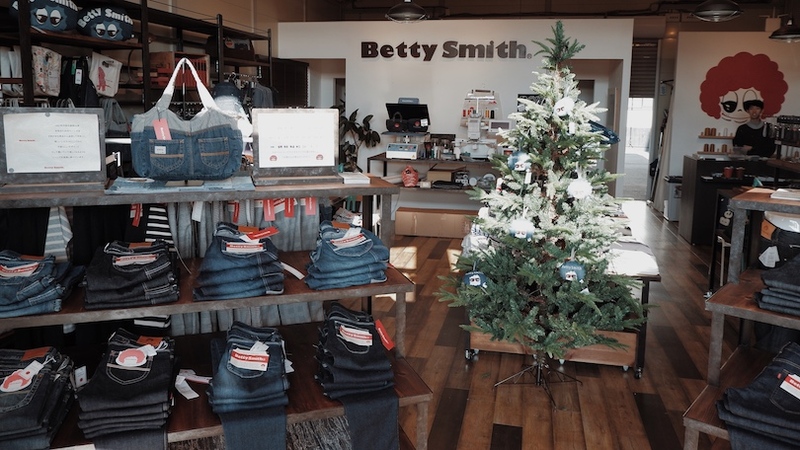 This is Betty Smith Jeans village and museum area. 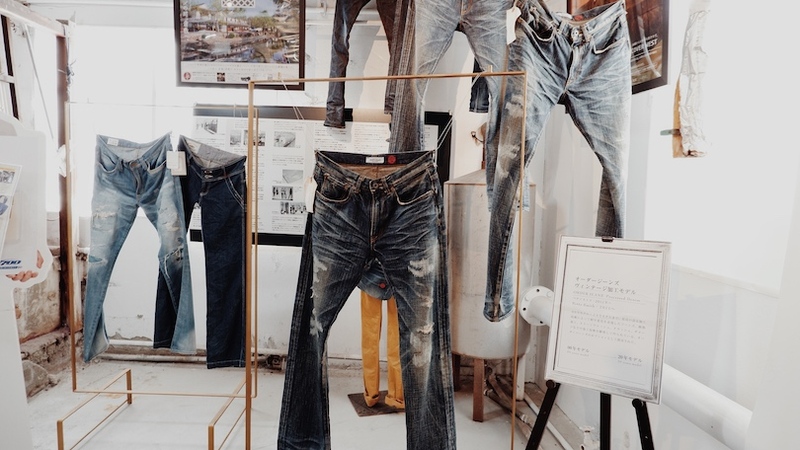 It's the first birthplace of Japan's domestically manufactured jeans. 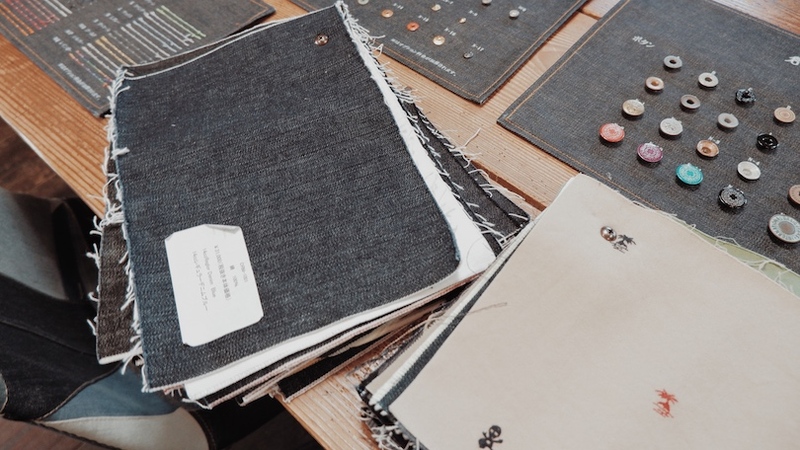 Through this journey, I have a deeper understanding about the whole process of producing jeans, the transformation of jeans fashion from the past to 2018 and it's really an eyes opening experience to look at how jeans transform time to time. 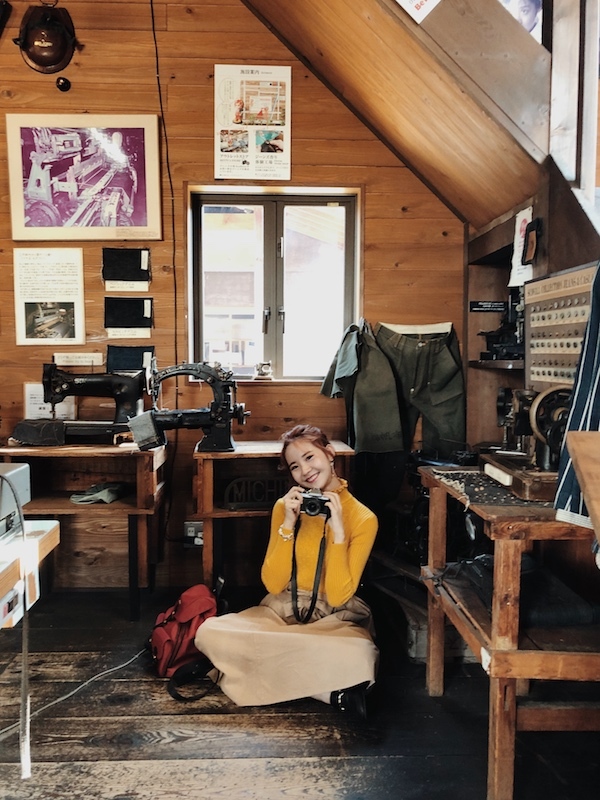 I never like museum before but this museum is the cutest and most photo worthy spot ever. 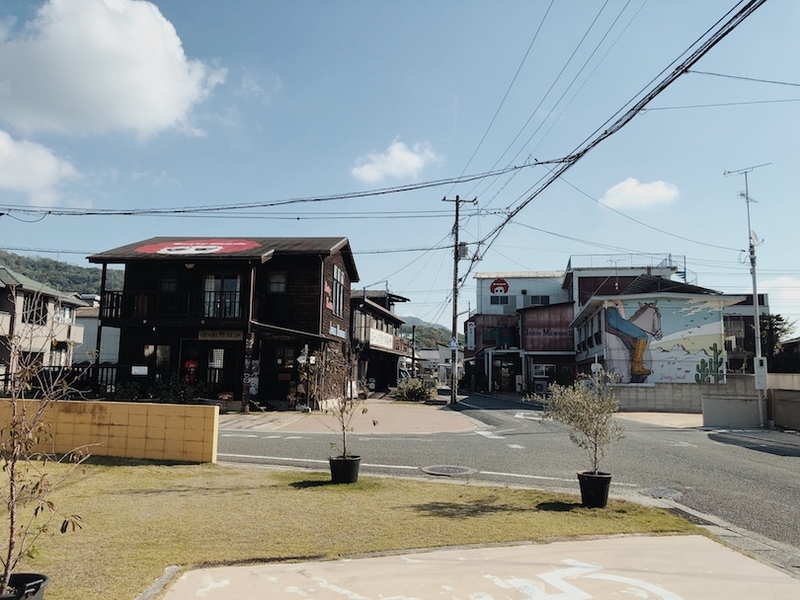 The village is super cute. 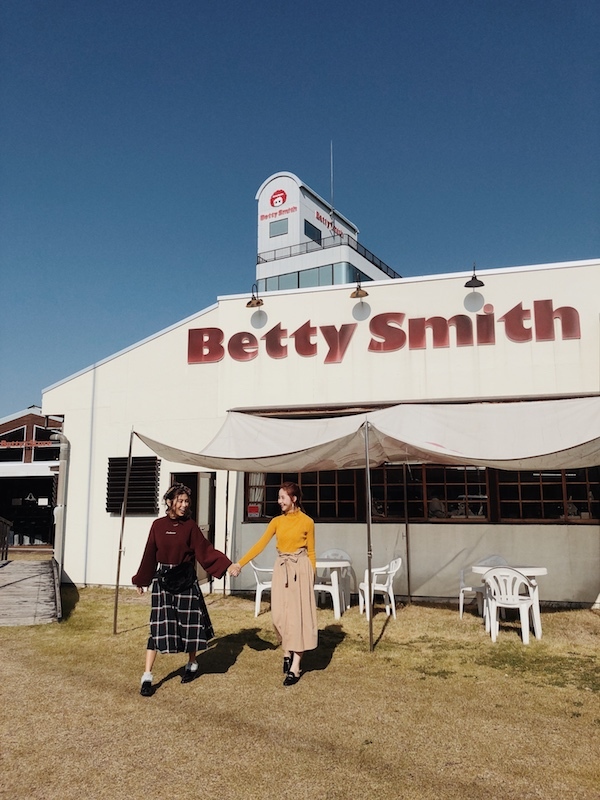 It has the Jeans museum I & II, garden, outlet store which selling super duper cheap authentic Betty Smith Jeans, the Jeans Making Experience Factory, sewing factory & etc. I think you can spend 3-4 hours just for this area alone. 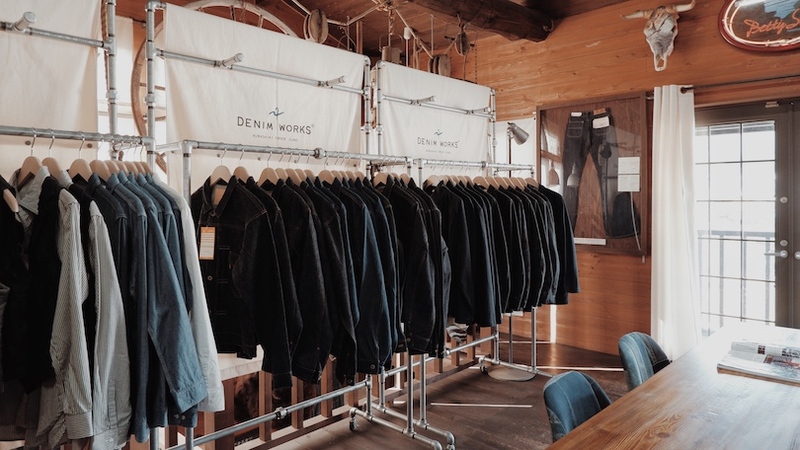 If you are a denim lover, you will never want to miss this. It's easy to access to the village. 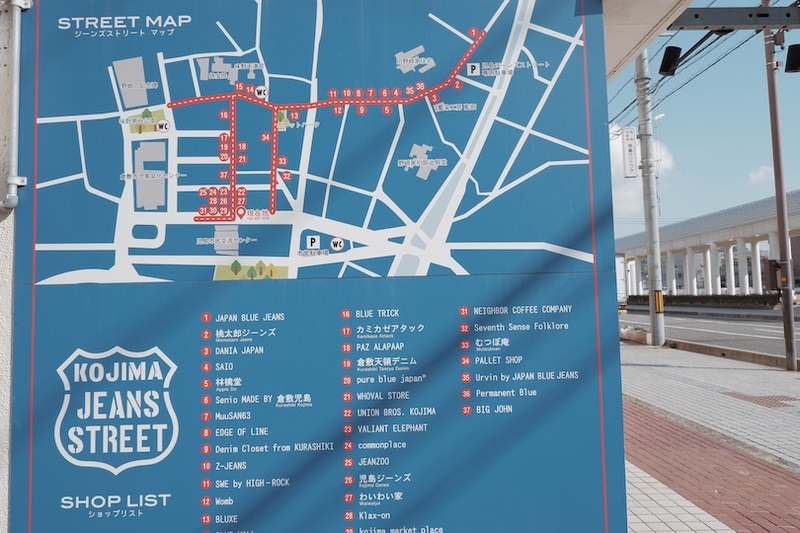 It takes 10 min driving or 15 mins by bus from Kojima Station of JR Seto Ohashi Line. 📍Betty Smith Jeans Museum & Village: 5-2-70 Shimono-cho Kojima, Kurashiki-city, Okayama 711-0906. 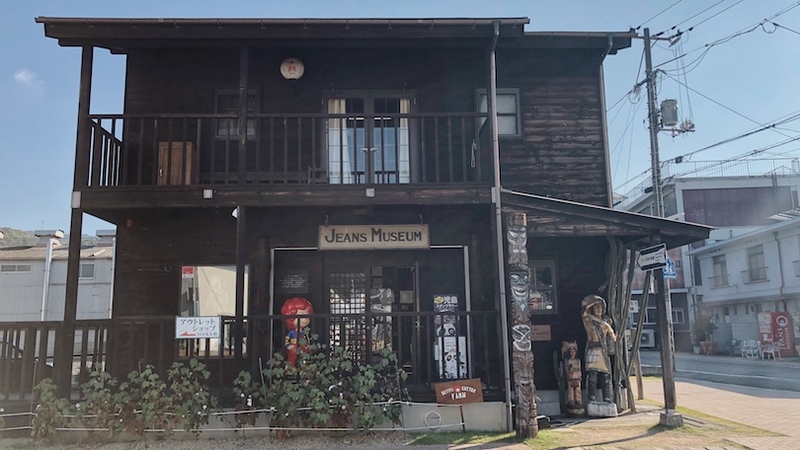 This is the first Japanese's jeans museum opened in 2013. I love the idea of transforming the whole village into a same theme with so many nice spots and activities to do. 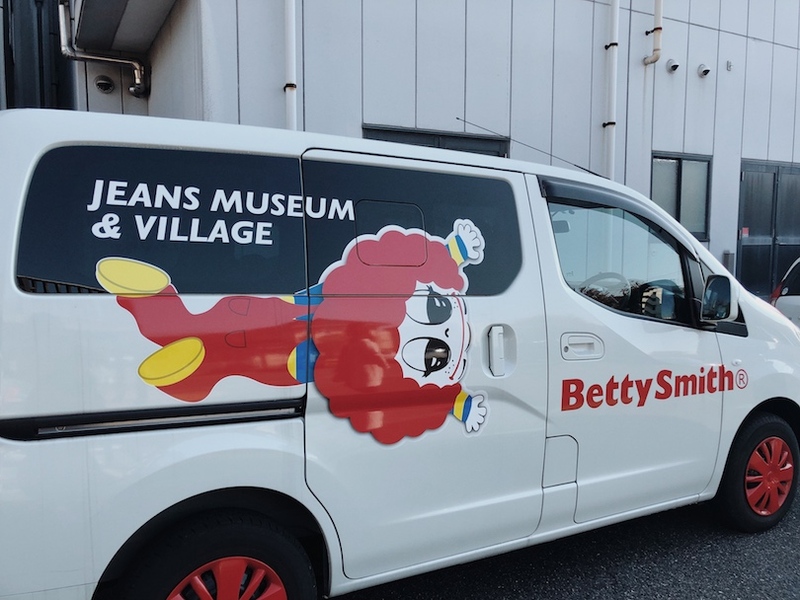 There are two museum in total. 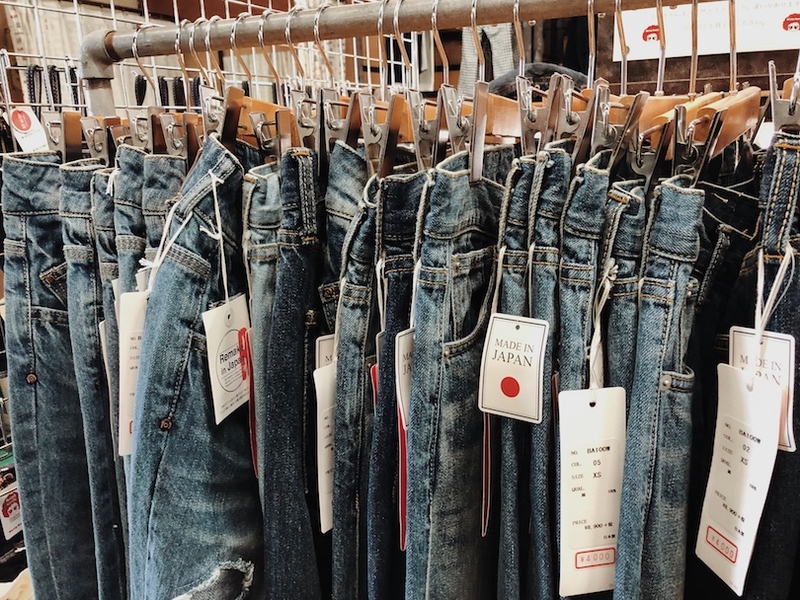 Here's the first one with easy-to-understand introduction to the history of jeans and to the historical period in which they came into being in America. 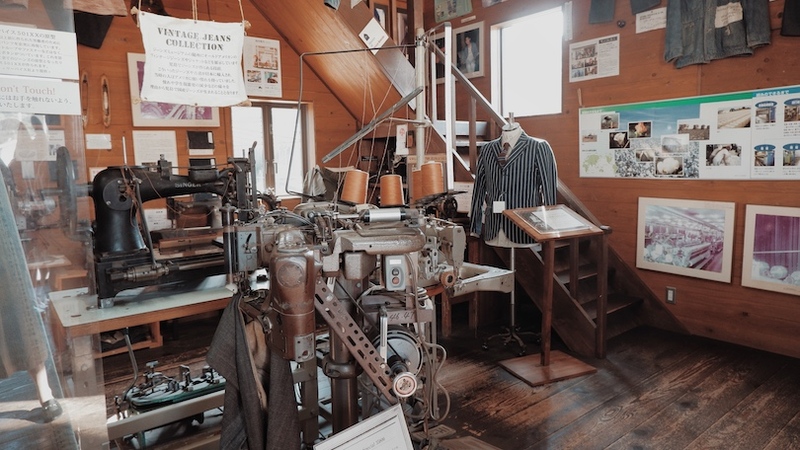 So many items are display here and there is one sewing machine that was designed for thick fabrics that was in use 70-80 years ago. 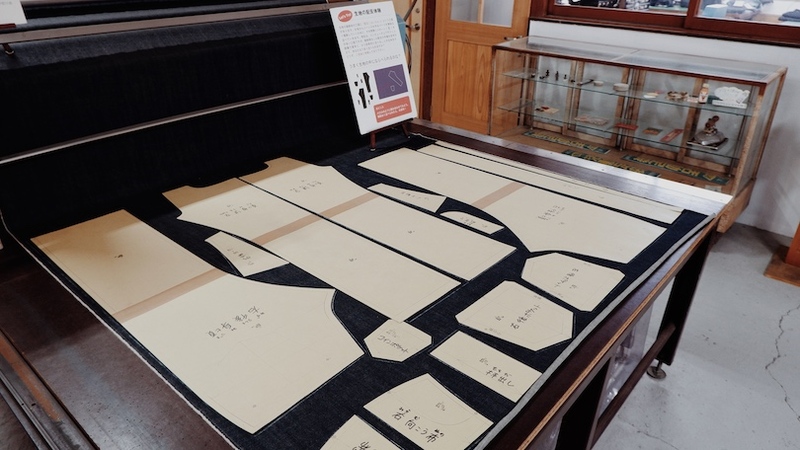 This first museum is specially make with easy understand introduction for student who visit this village with their teacher. 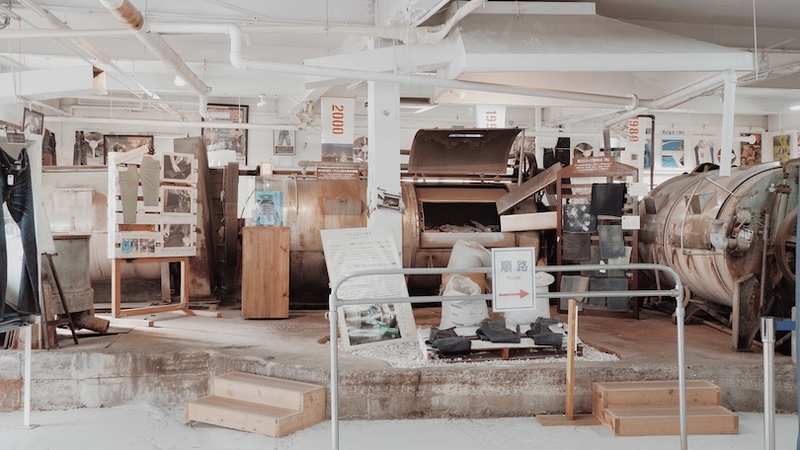 I love the concept of the whole museum. It's not boring at all because everything seems so new to me. 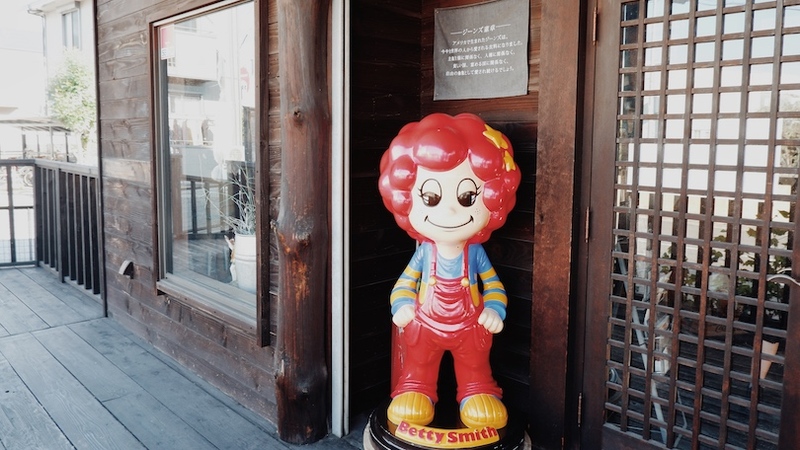 Remember this red hair cartoon and you can spot this everywhere in this village. 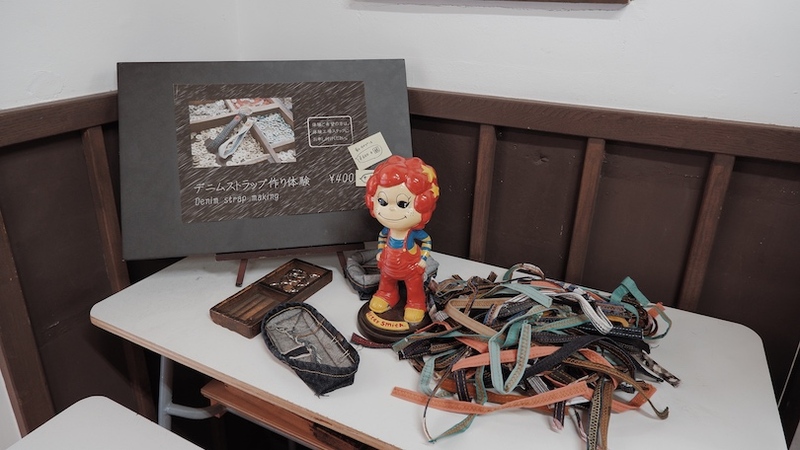 Interior and items display in this Museum I. 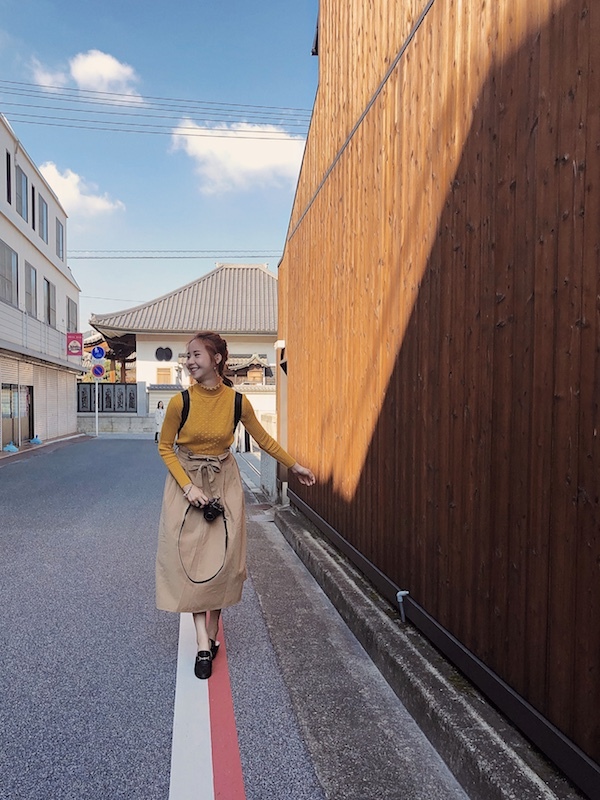 Every corner is photo worthy spot. 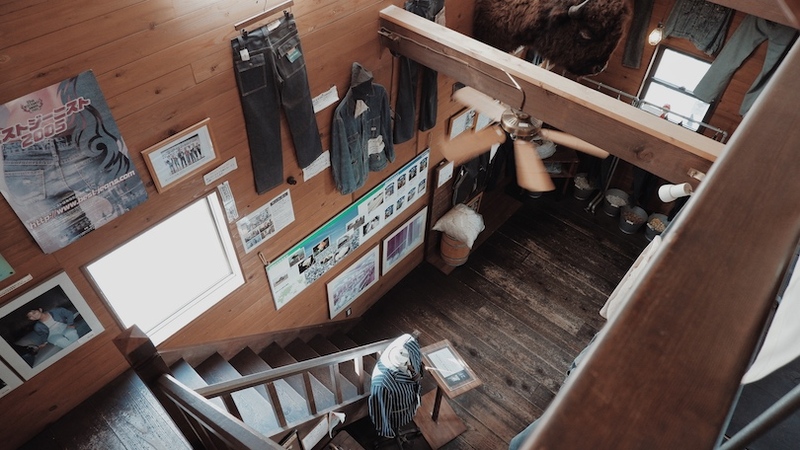 So here's the second floor of the museum I. I look like in the cowboy movie spot or somewhere else other than in Japan. 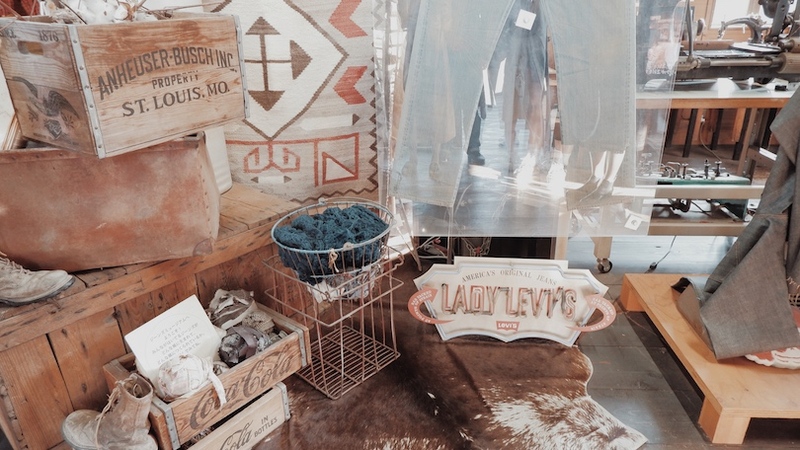 I love the ambiance here and if you notice that there are lots of denim jeans behind & beside me. 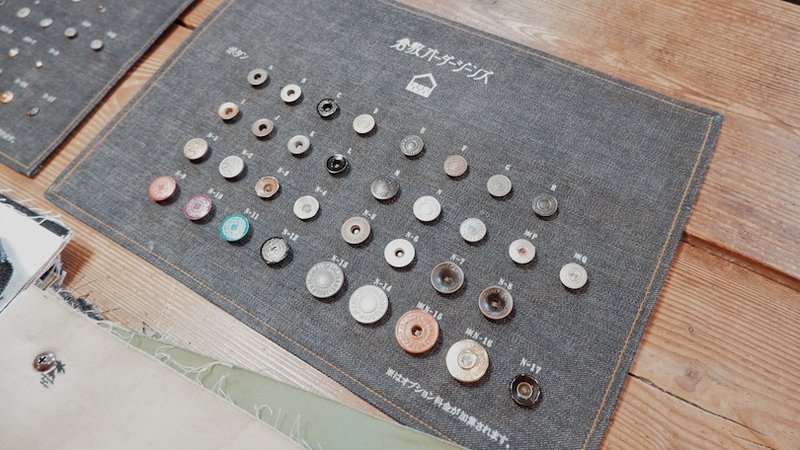 The second floor is actually for customer who wish to DIY your own denim jeans. 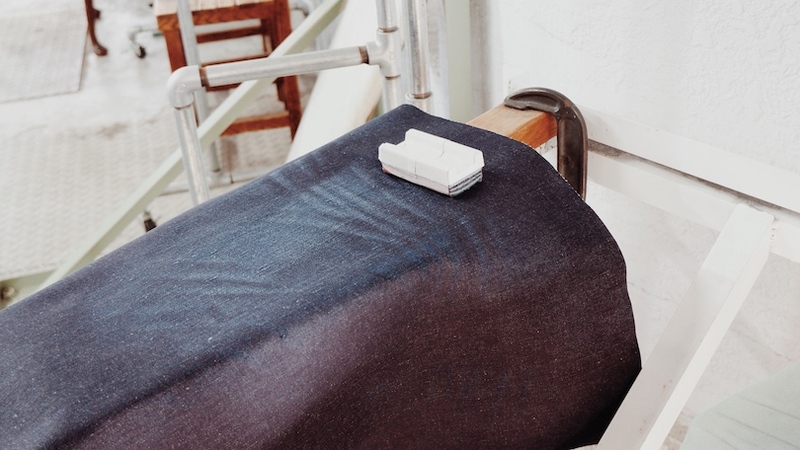 Yes, the only denim jeans that belong to you like no others. 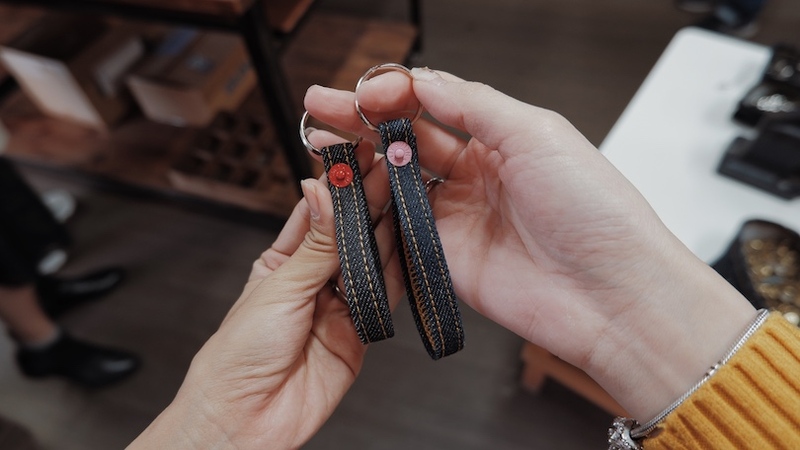 It's really customised just for you because you get to choose what kind of jeans material , color and the button you want. 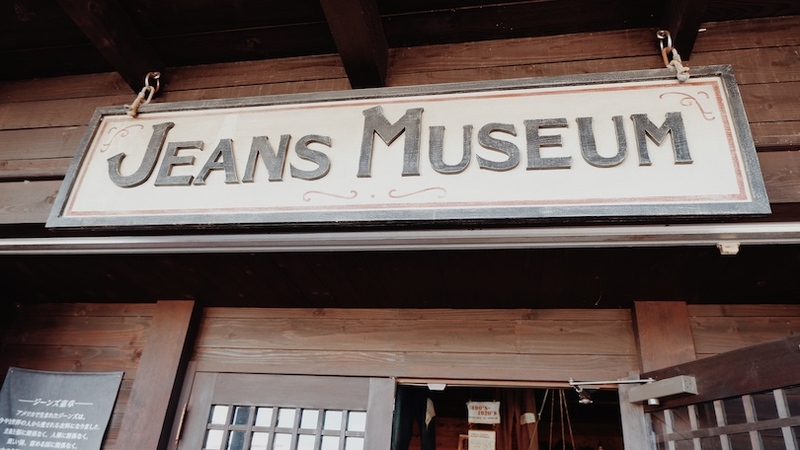 Welcome to my museum ahhaha! 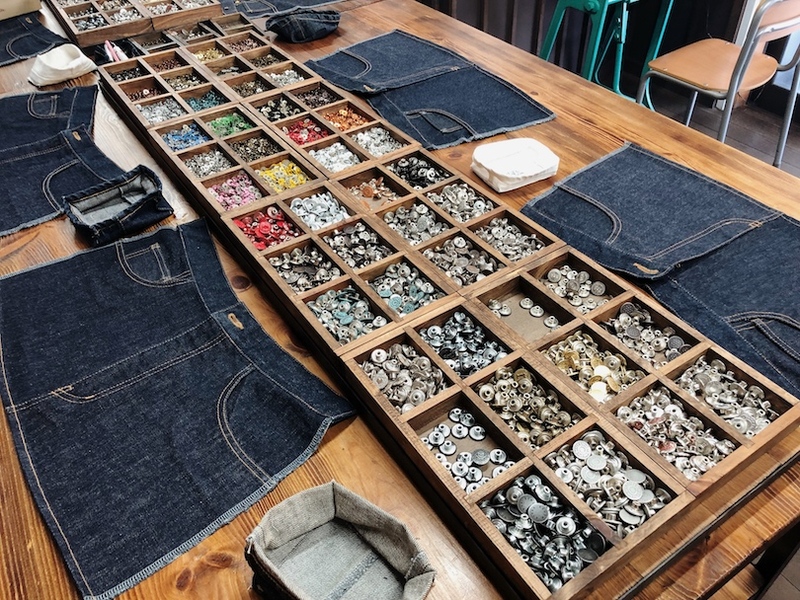 So customer who interested to designed your own denim jeans can sit down at this corner and pick your favourite jeans and buttons. I guess this might take you hours to make your decision. 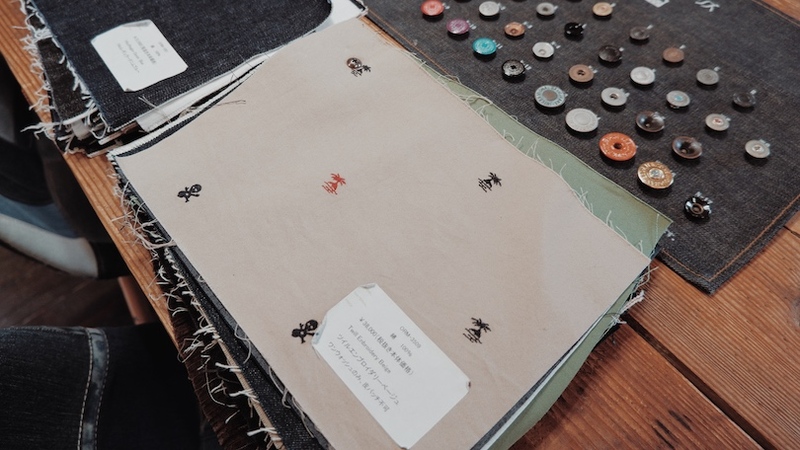 It takes up a month to complete your order as it's really custom made and sew it one by one according to your customization. One thing I love about it was no one can have the same items with me but the price is like god level price. 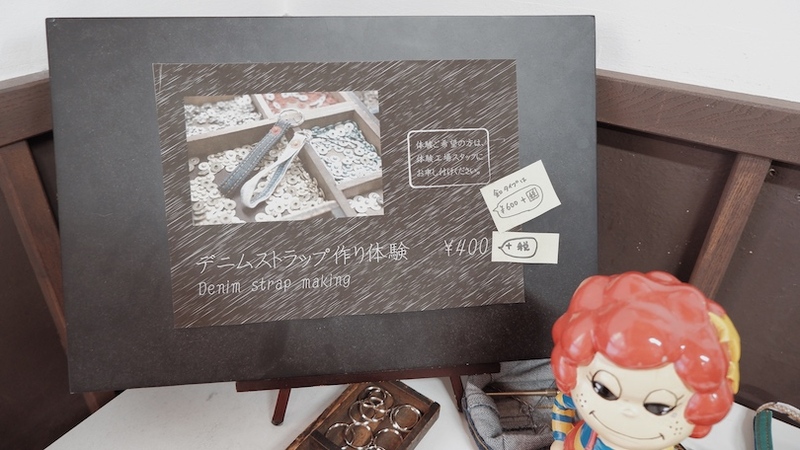 It's 33,480 yen per order. 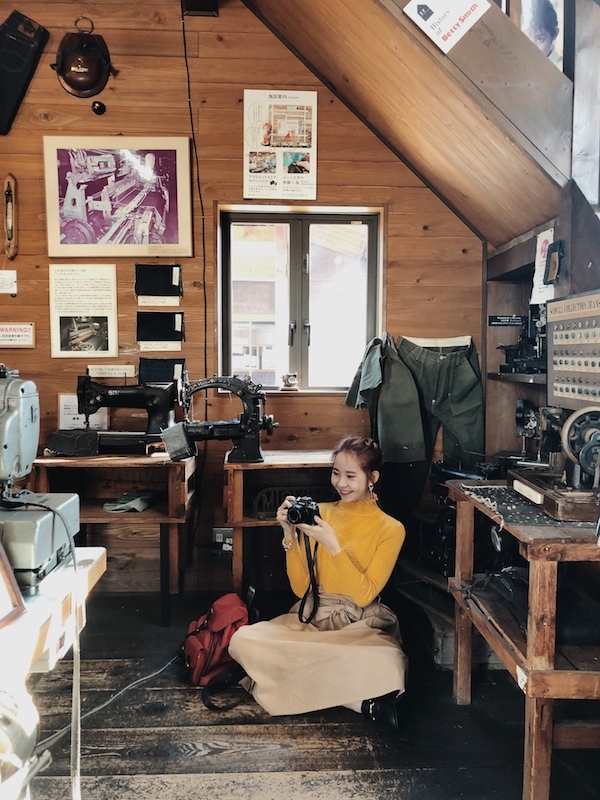 I wish I'm rich enough to make one for myself but you know, personalized items are precious and since it made one by one with all the things you choose, it's really depend on how you look at it. 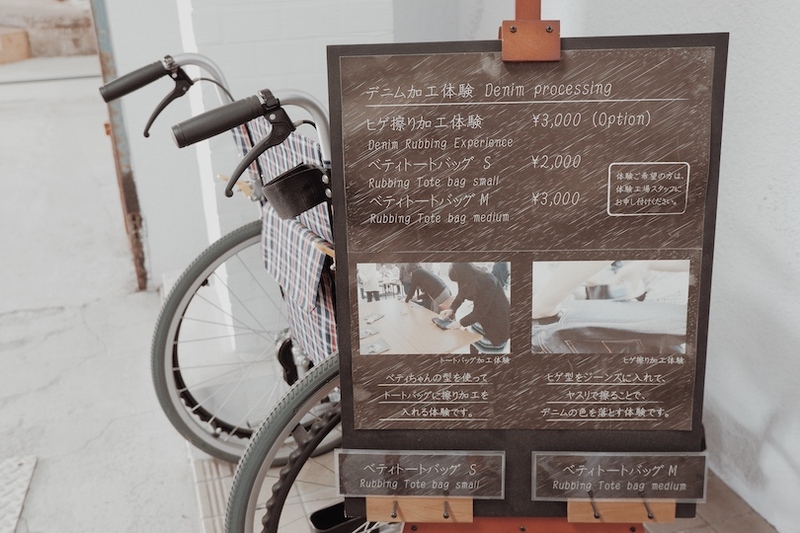 I hope one day I could make my very own kind of denim jeans jacket too but the owner of this place told us that it's always full of order and now it takes almost 6 weeks for one order to be collect by the customer. It can deliver to your country too! Next, I went down again to the first floor and decided to take some photo for my blog so I can show you guys more about the museum. 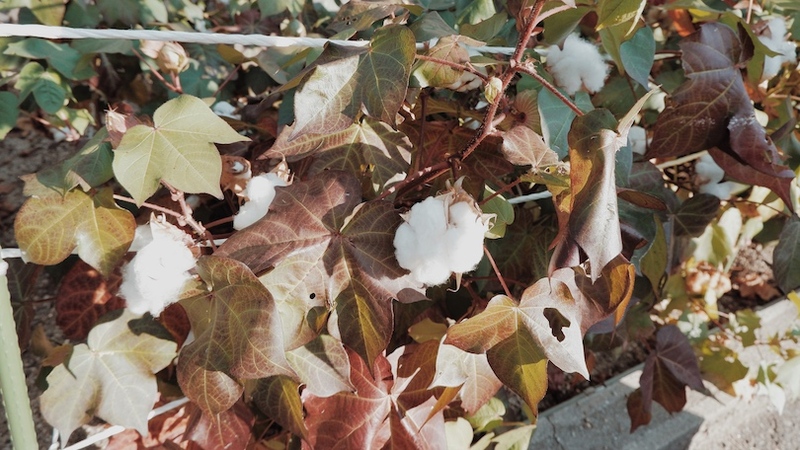 On our way to the second Jeans Museum, I spot the real grow cotton on the street. OMG It's my first time seeing growing cotton lol. I even touched it lol. I see the cotton before in Malaysia but never see such glowing one like this lol. 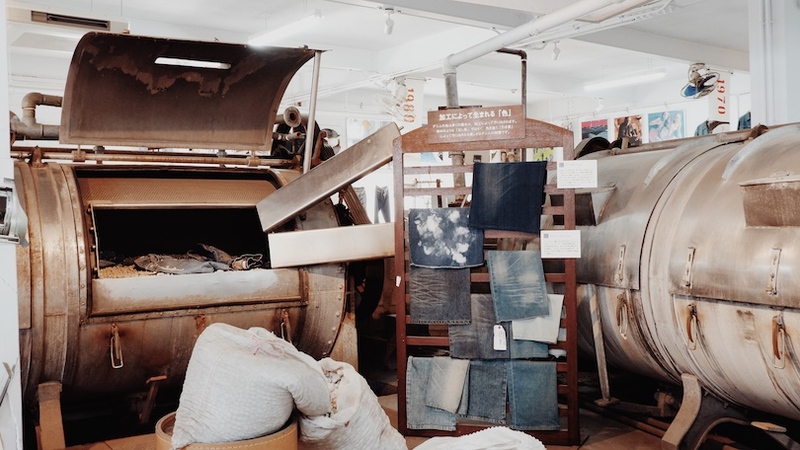 Fyi, they grow cotton as a raw material for its denim. 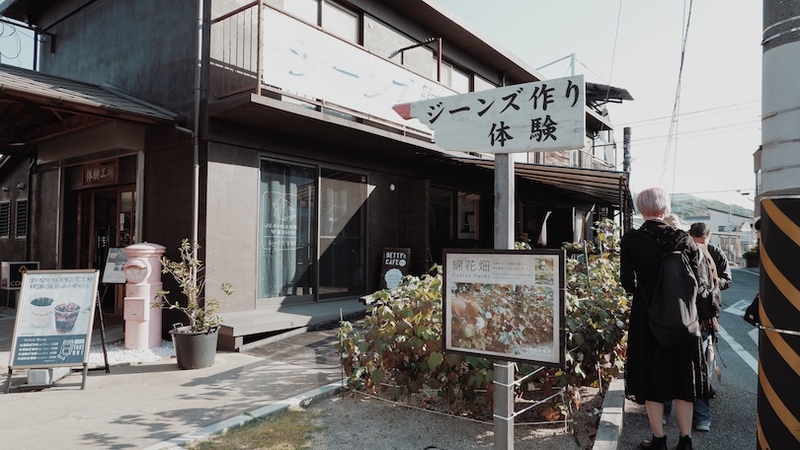 This is the second museum just few steps away from the first one. 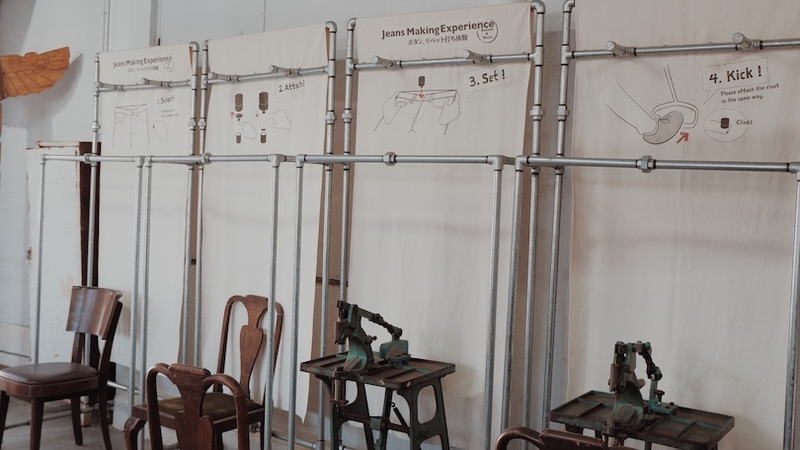 This can help you to have a deeper understanding about how-to make it, where jeans come from and the transformation over the years. It open in 2014, one year after the first museum. 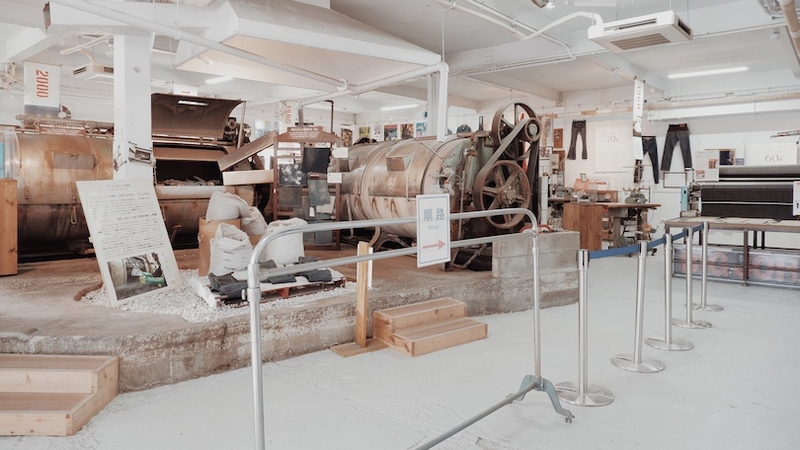 This was originally the washing workroom and now it has become the second jeans museum in Kojima. One thing I love about it was the nostalgic advertising posters display all over here, mostly from the 70s until 80s. There are many activities available here. 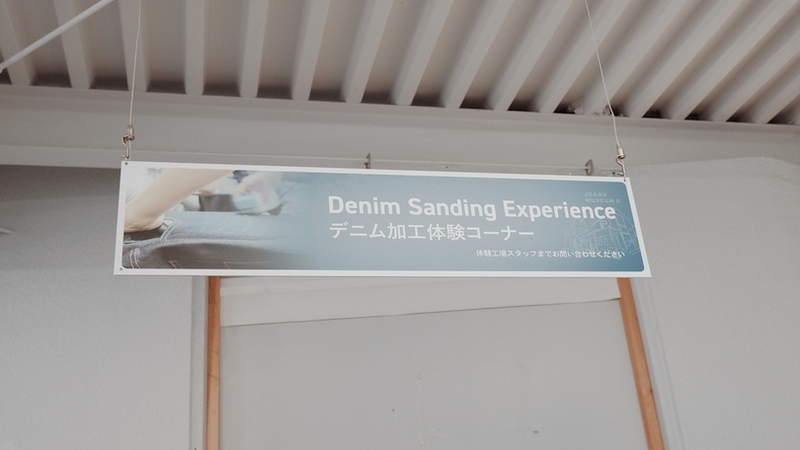 Students of oversea tourist can come to experience denim sewing and etc. 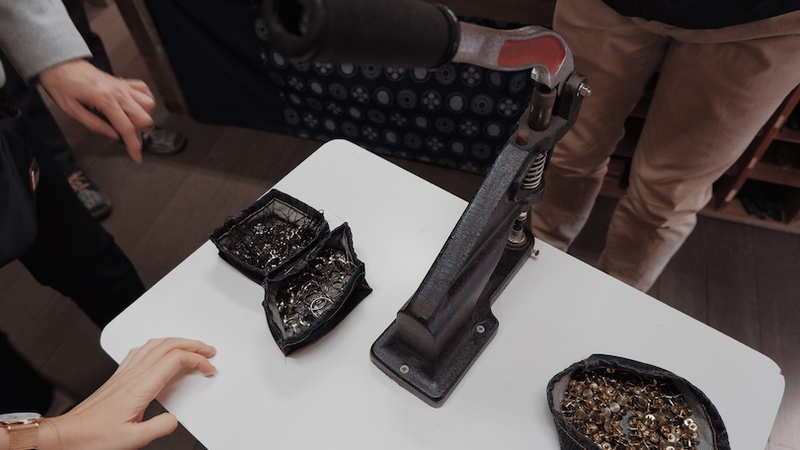 The process of making jeans isn't as easy as I thought. It's quite time consuming actually lol. 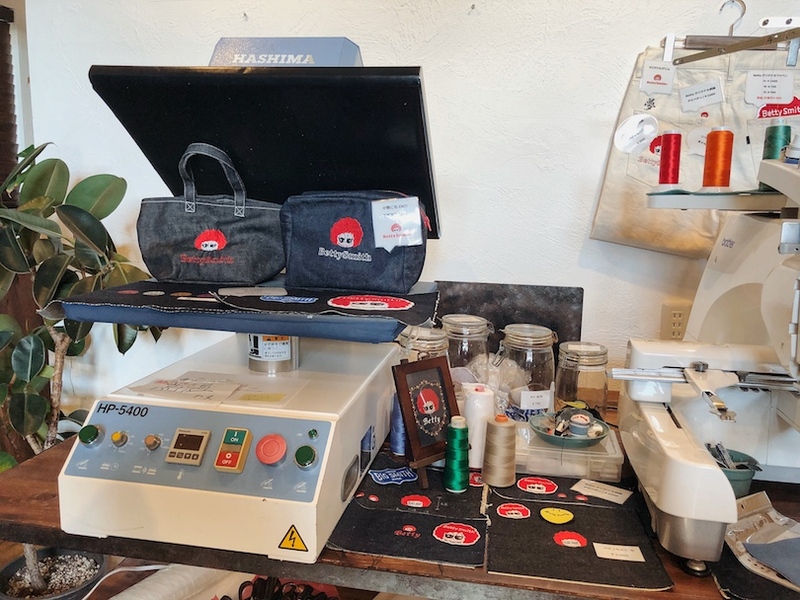 If you have extra time here, you can experience DIY your own tote bag too. 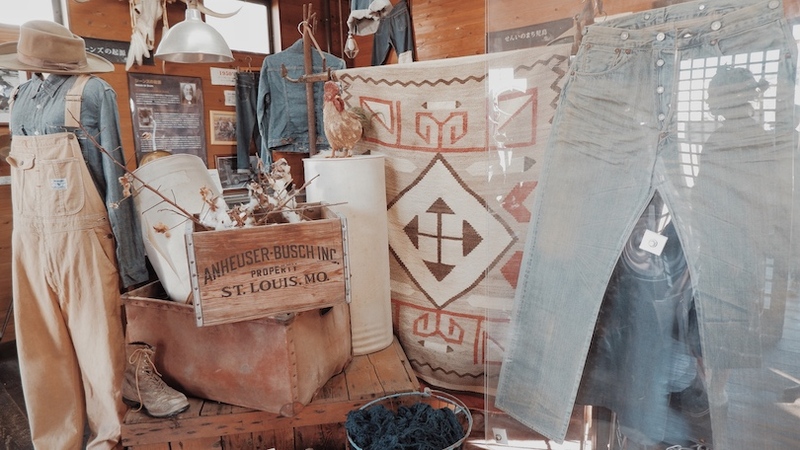 The making of denim jeans. Which you love the most? I love skinny jeans hehe! Next is something which I love the most. Making my own souvenir hehe! But due to the limited time we have, we choose the easier and less time consuming one lol. 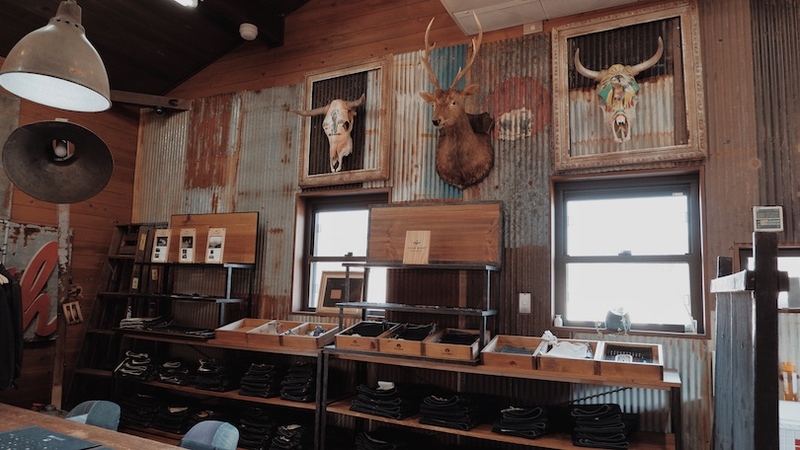 This is their own manufactured jeans. 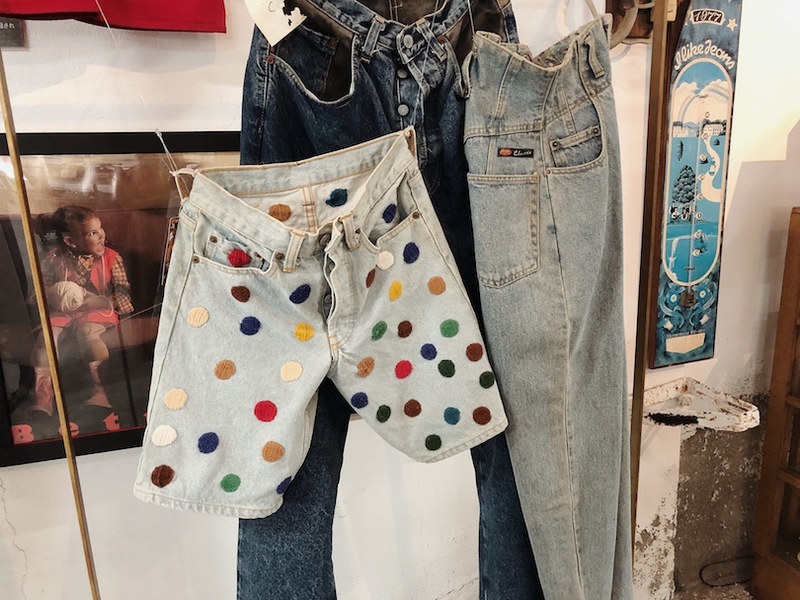 You can enjoy the DIY your jeans too by insert your favorire rivets, changing the buttons that you love and choose your stud, painting and etc. I wish I can do a skirt for myself! This is cheaper compare with the customised one from the museum. 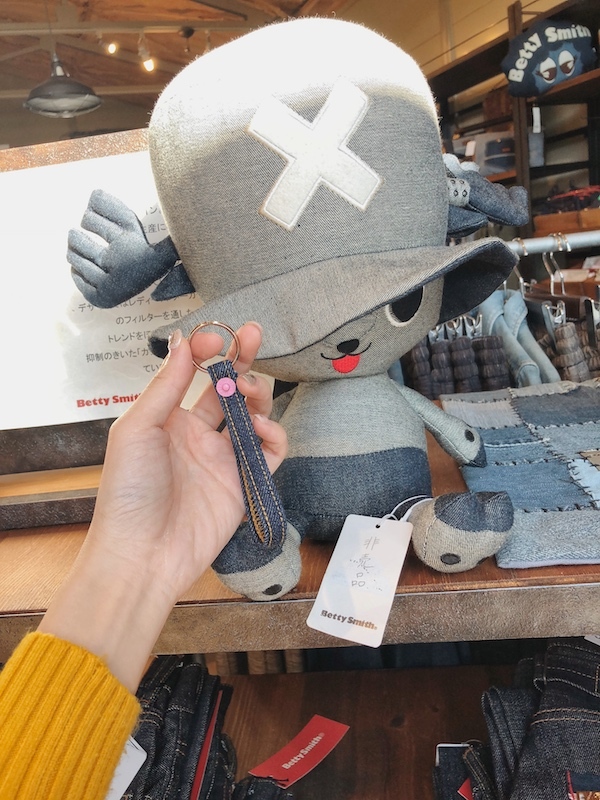 Today, I'm going to experience & doing my own denim strap keychain! 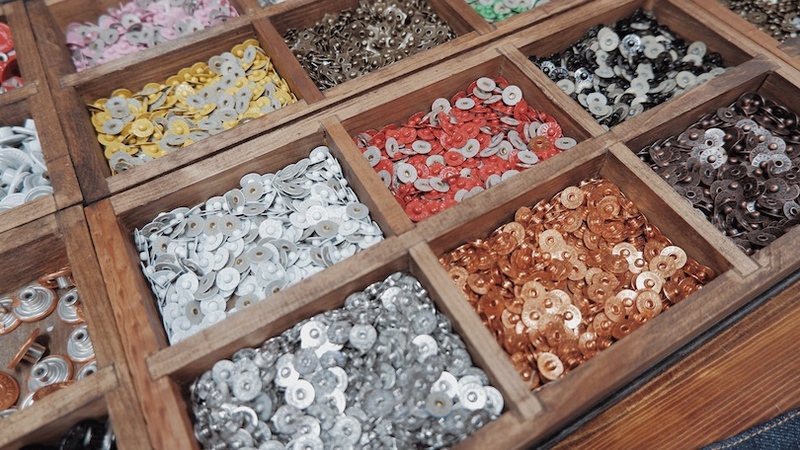 So many how to choose?! Okay, I pick the pink one! 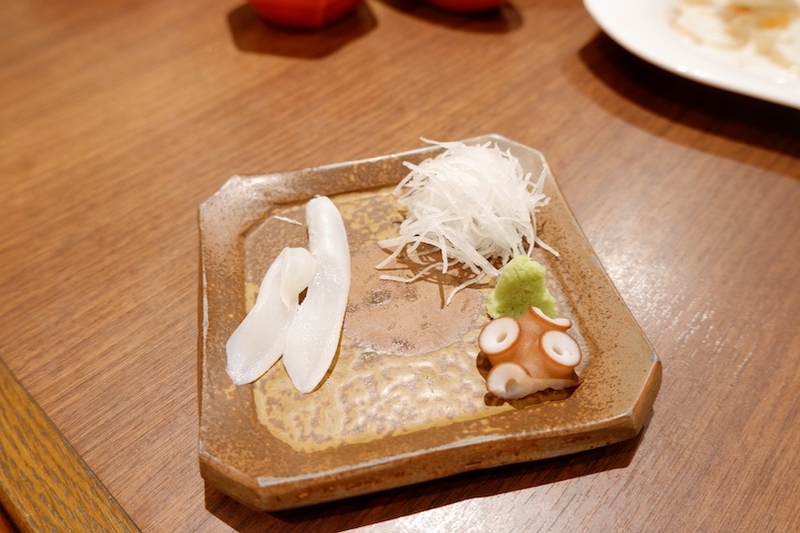 This cost only 400 yen! 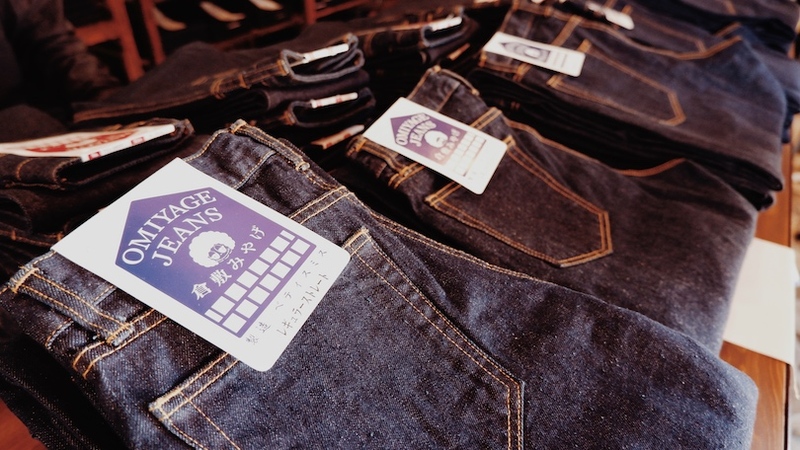 If you are here doing your hands-on doing the jeans, you can choose the label to stick on the back of your jeans. So cute!! So many to choose from. OMG I spot one piece! 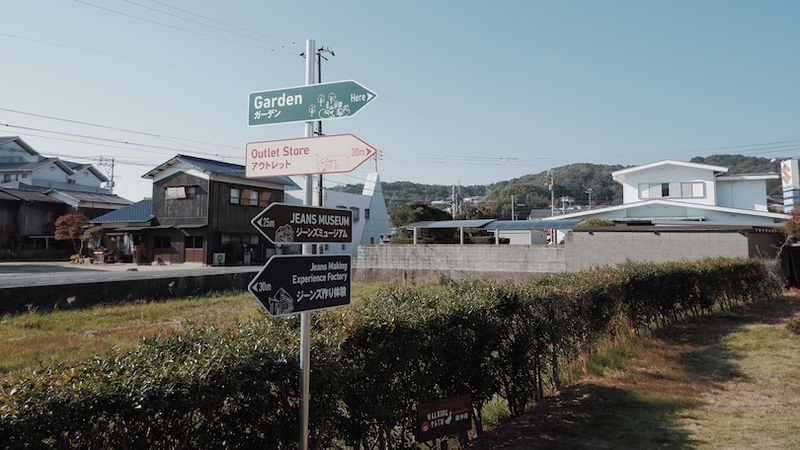 There are two shop around this village. 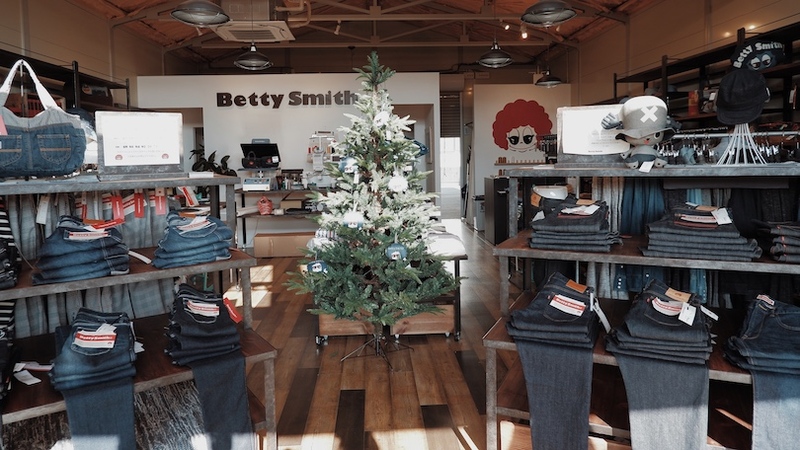 One selling all the high quality original Betty Smith jeans. 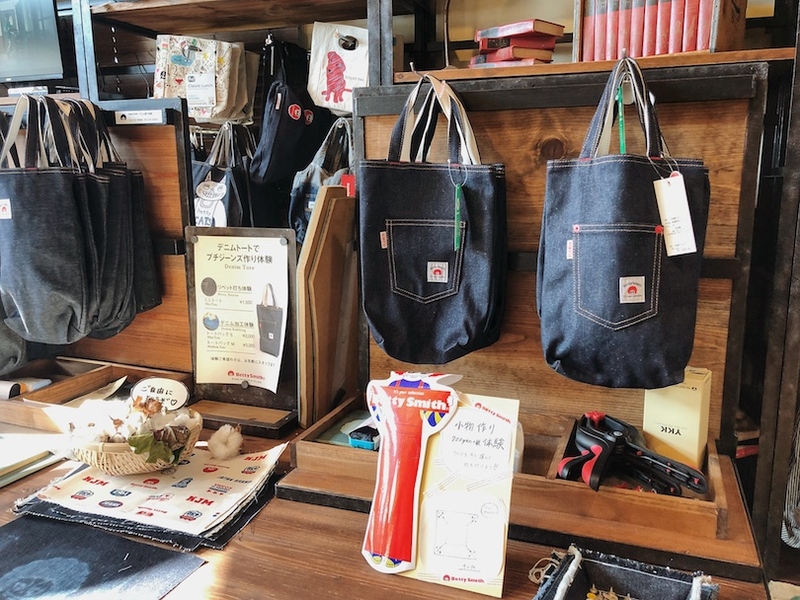 The price is more premium because this is really good in quality and everything made in Japan from the factory located at this village. Since Christmas is around the corner, I have the reason to buy something for myself lol. 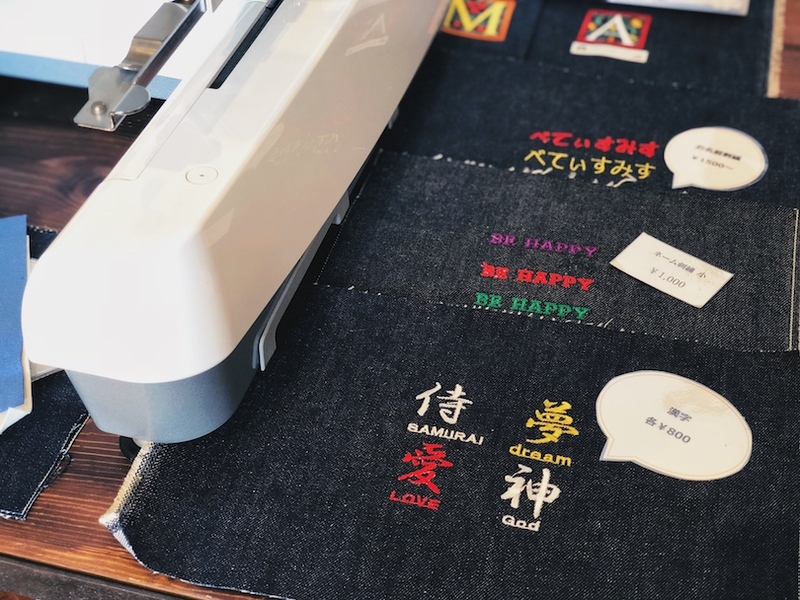 You can even embroidery words eg: your name or any quotes you love on the tote bag or jeans you bought from this shop. So tempted to get one!! Omg this isn't look like I'm in Japan at all. 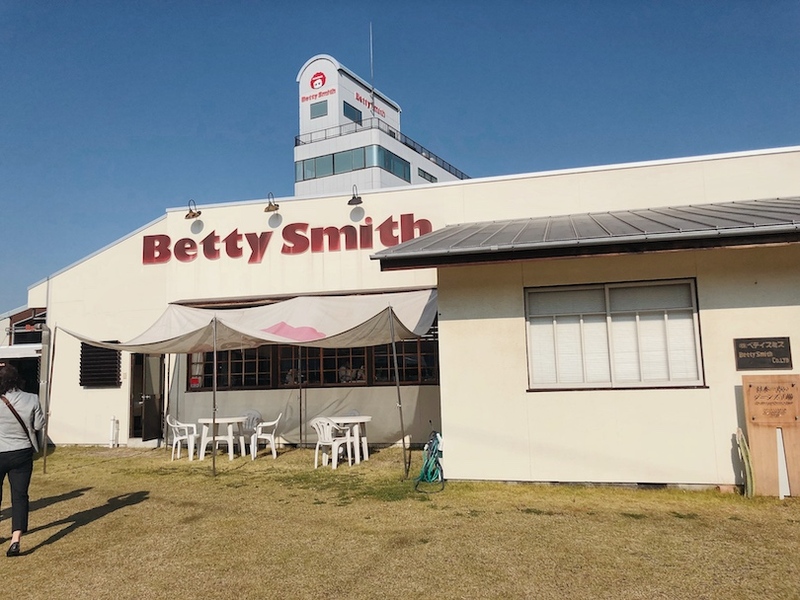 Look at this white building and guess what, it's the main factory which producing the jeans. Oh dear, this just look super duper cute! 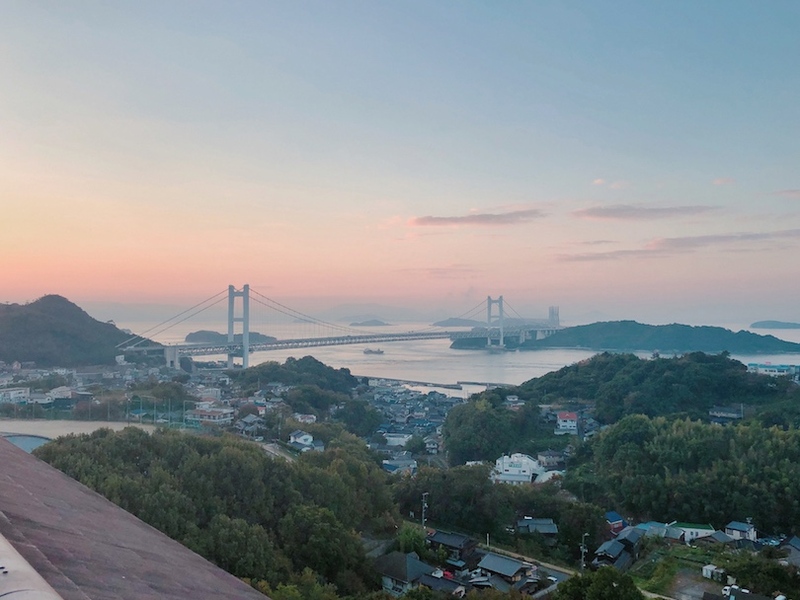 #ChanwonTips: Take some photo in front of this factory. 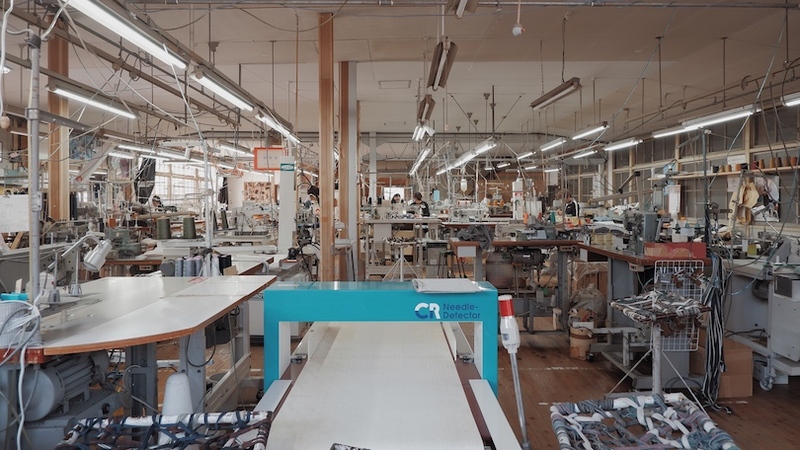 This is actually a sewing factory. 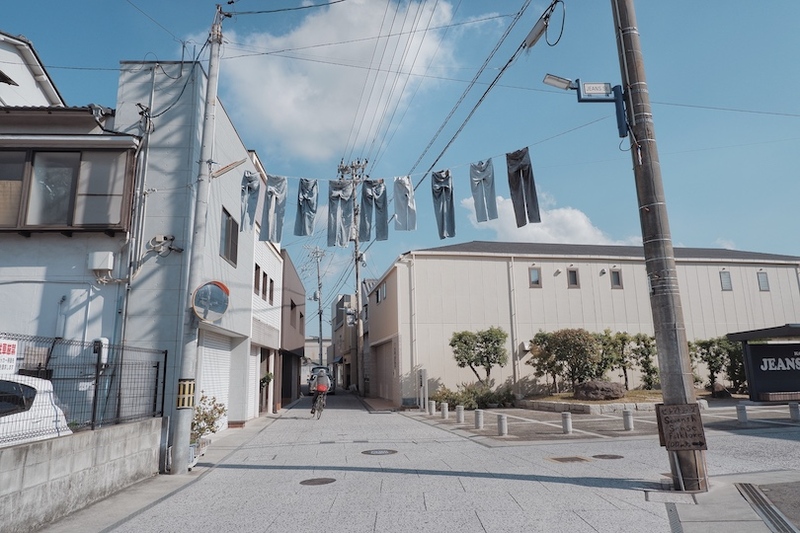 When you walk to the back of the factory building you can spot the whole production of jeans. 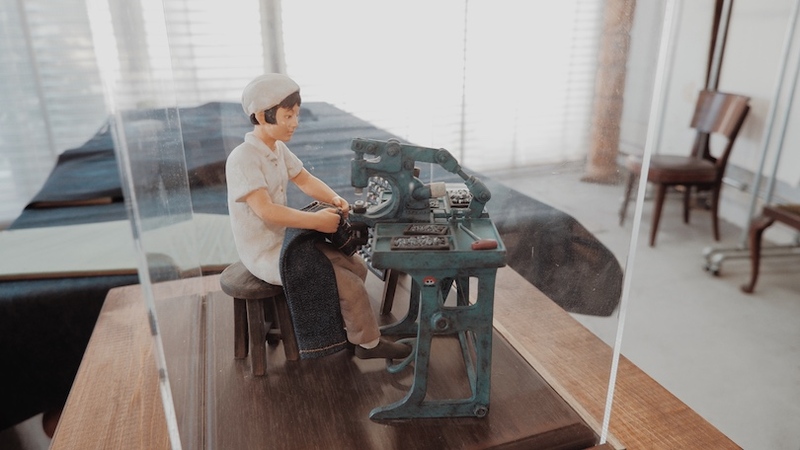 This is actually the oldest sewing factory in Kojima. 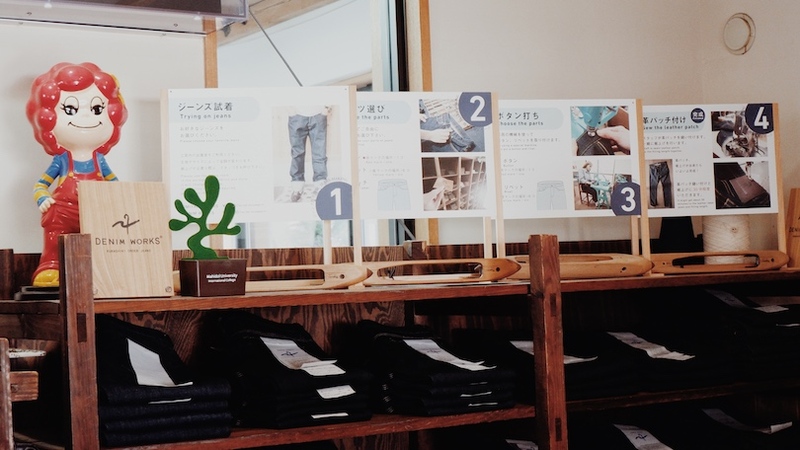 The interior is still true to the times where jeans production commenced in Japan. One thing I love the most is all of us can observe through the window. 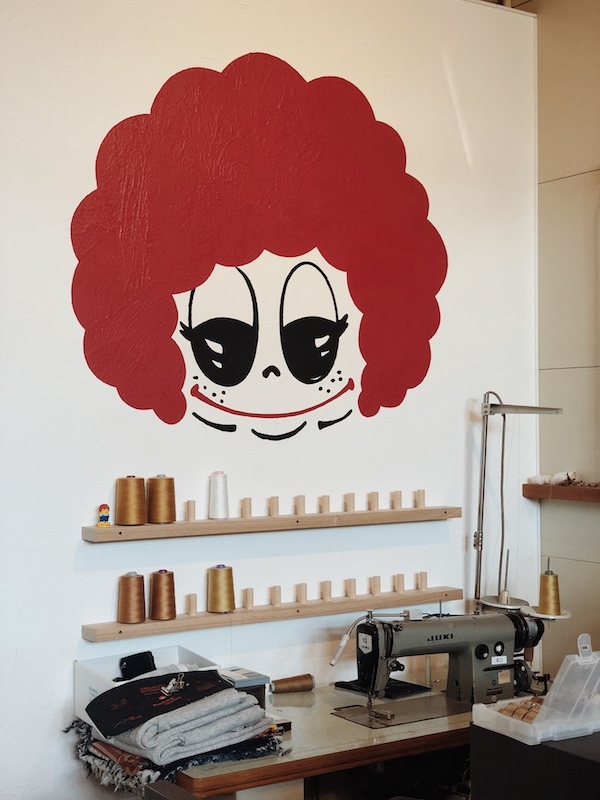 If you think the Betty Smith shop is way too expensive for you. 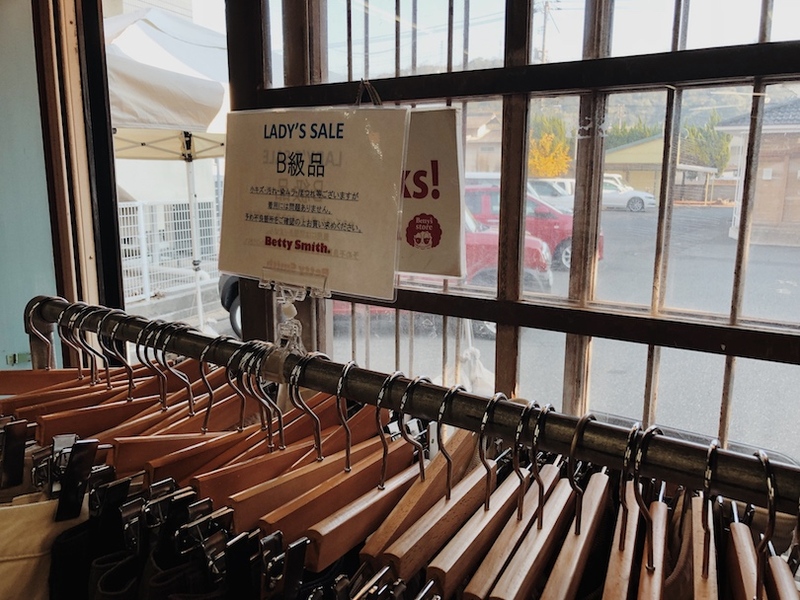 Here's some affordable one located right in the outlet shop. 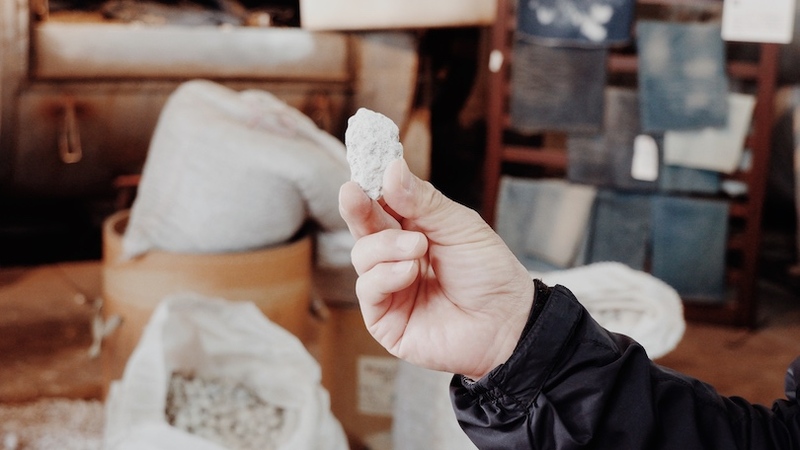 It's what we called as '瑕疵品'. 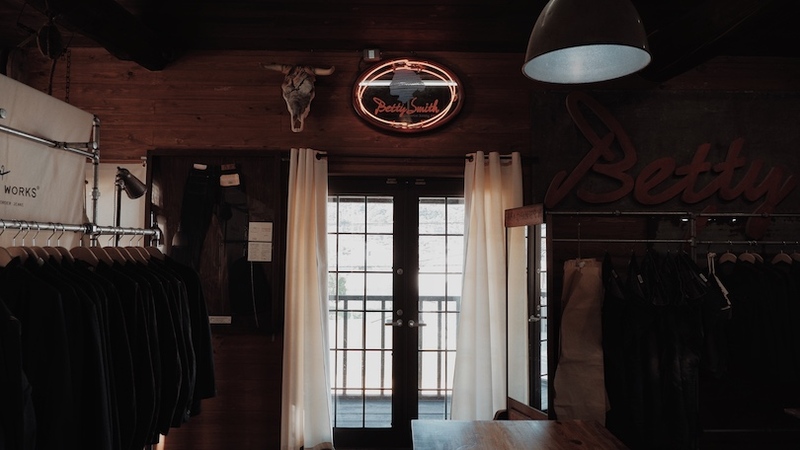 The non-standard / imperfect men's and ladies items can be found at much reasonable and affordable price. 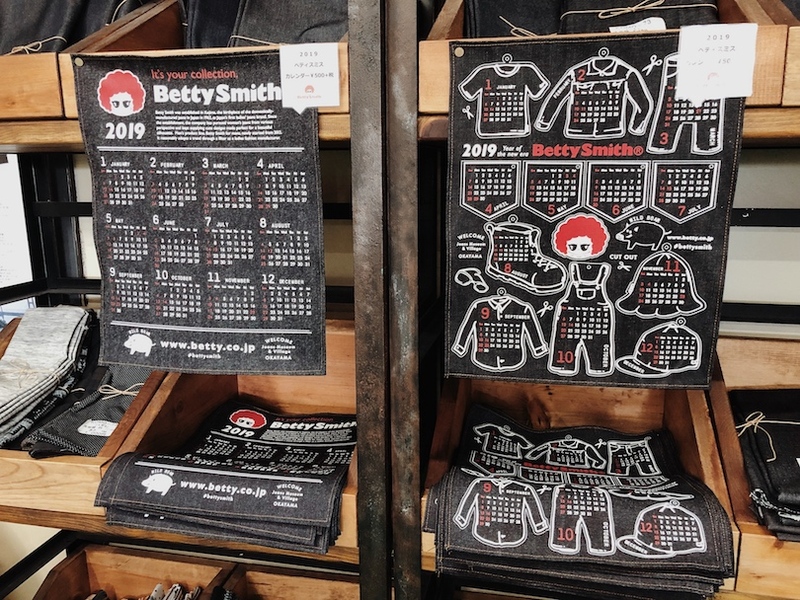 There are some Eco Betty goods on sales too. 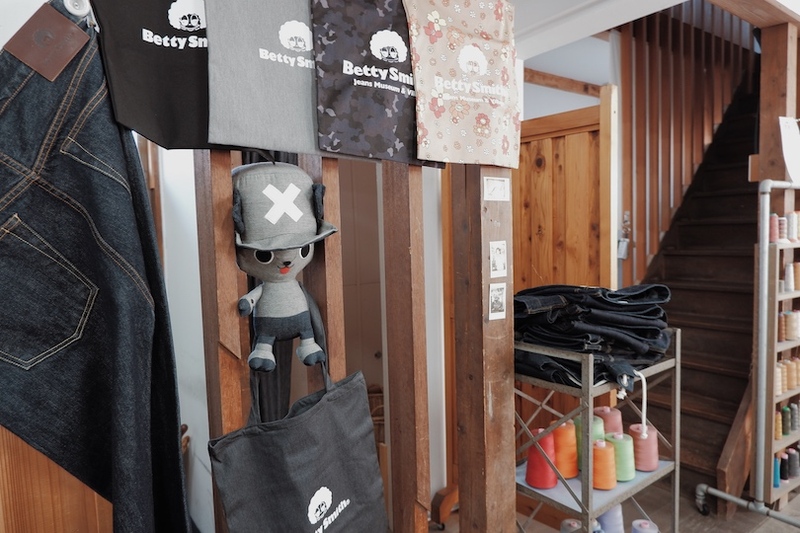 Eco Betty goods such as small little tote bags, recycle bags or small coins wallet / straps can be found in this shop. 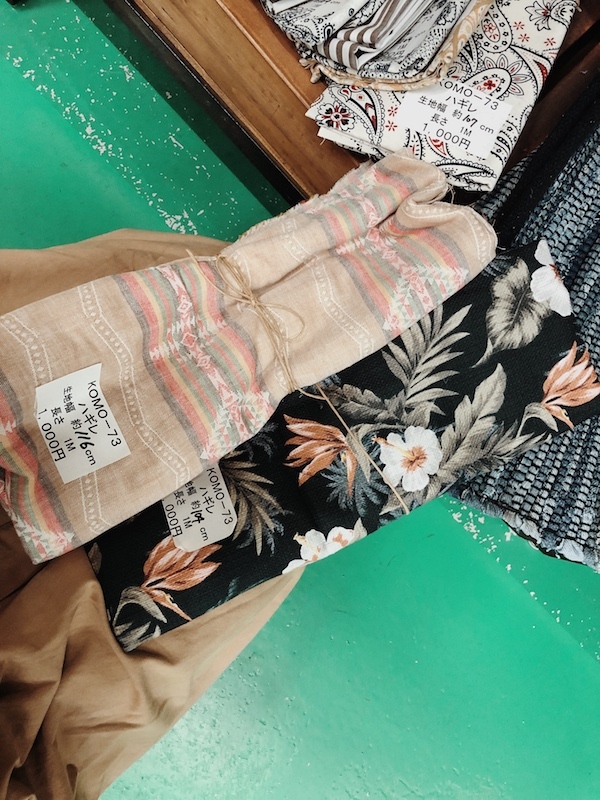 There are always scraps of cloth or tag ends left on the production line and it's why they even came out with the concept of 'recycling' by selling those unused cloth material and turn into something which can use everyday for recycling purpose. 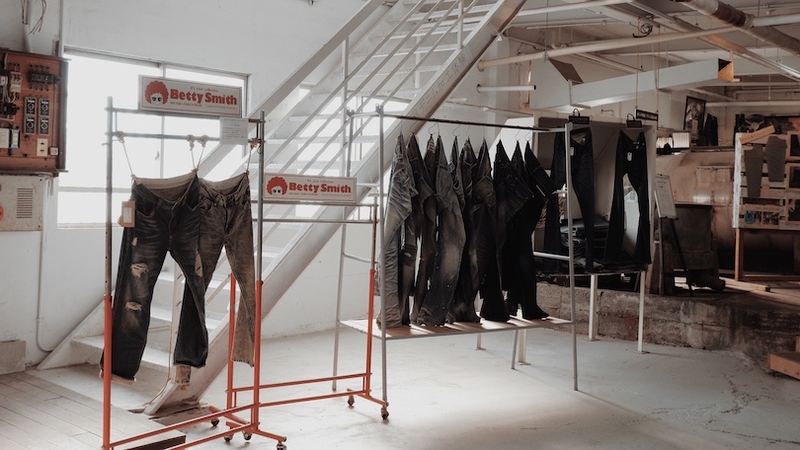 The Eco Betty Goods on top of the Jeans. 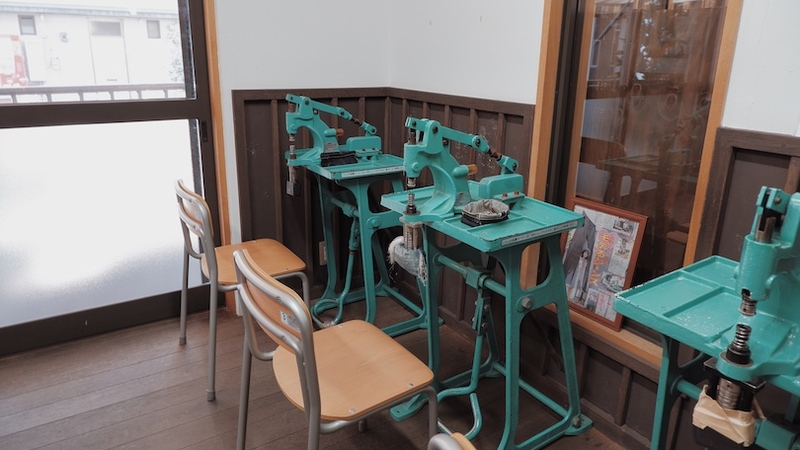 There are some higher grade imperfect items around 3000 yen too. This is the cutest! I bought 4 of these. Some for my friends and I keep one for you guys! We spent like 1 hour shopping in the outlet. It was real struggle because I can't decide which not to buy. If you watched our insta stories you might know how many bags we bring back to our hotel lol. 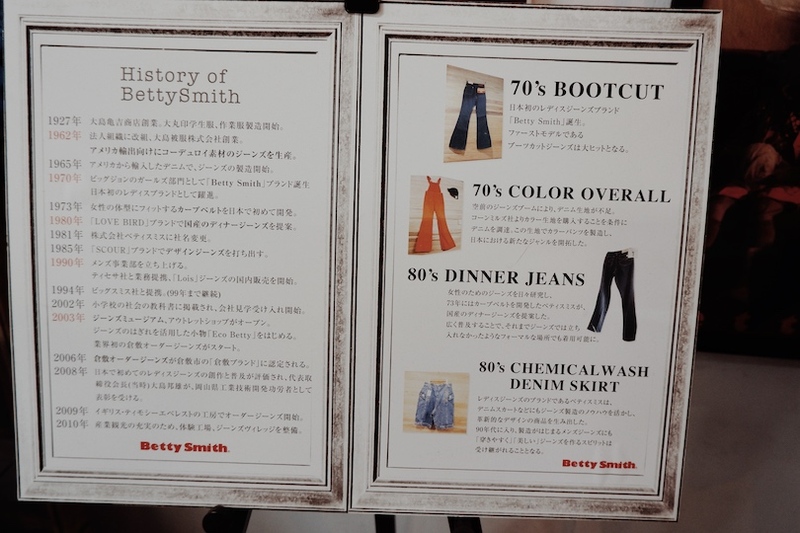 I bought two jeans and lots of eco Betty goods lol. 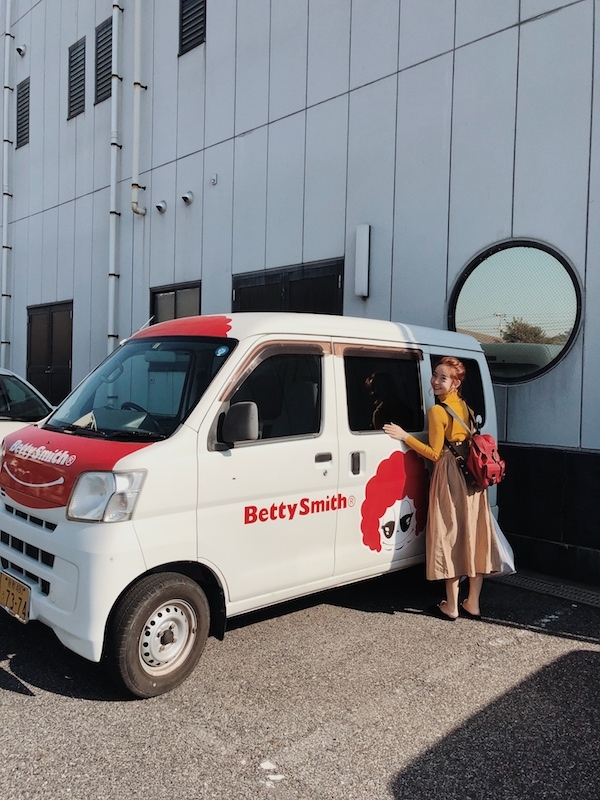 Right after we come out from the outlet shop, we spotted lots of cute Betty Smith themed car and things beside the shop lol. 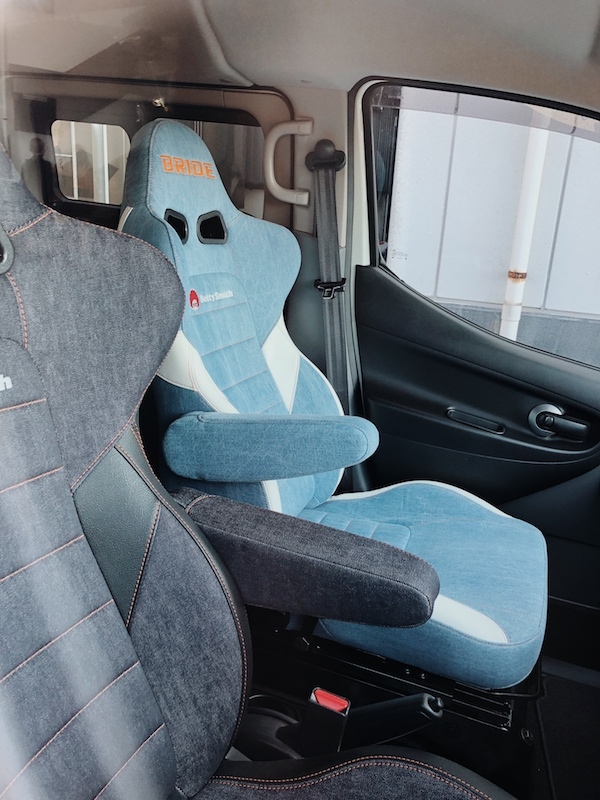 Even the seat is jeans made and with the logo OMG! 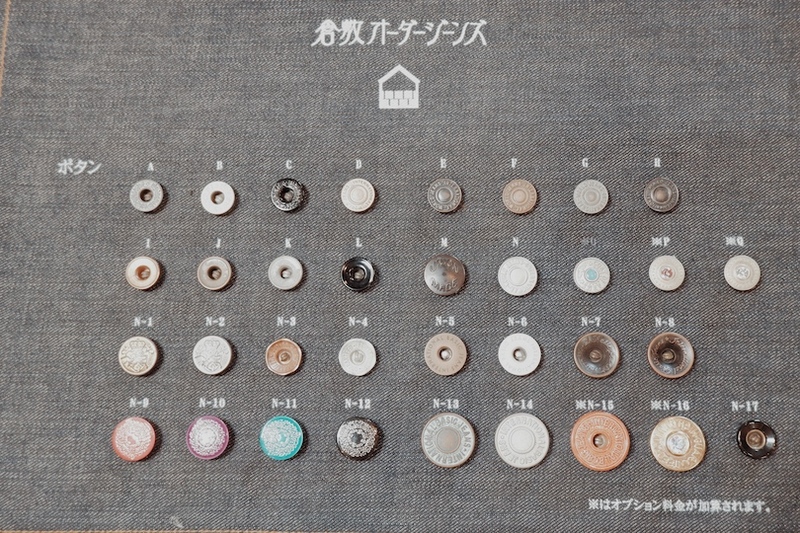 You win Japan! 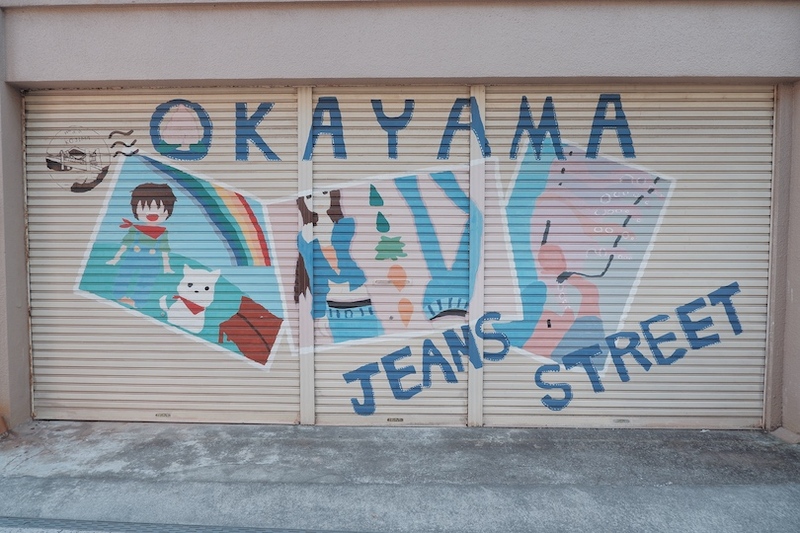 So if you google Okayama Jeans, this is the photo that will pop out from google image. 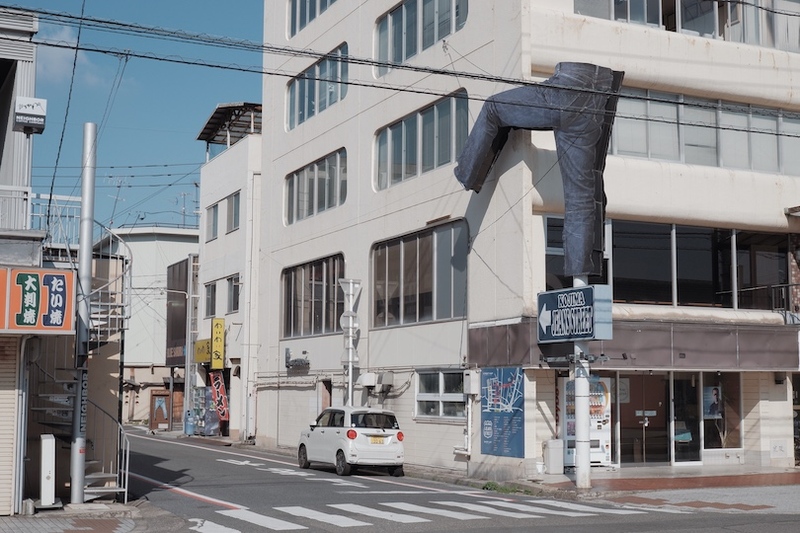 You can see a huge jeans pants on the side of the street and this place is more of a tourist place. But we went there during weekday, so it's not crowded at all. 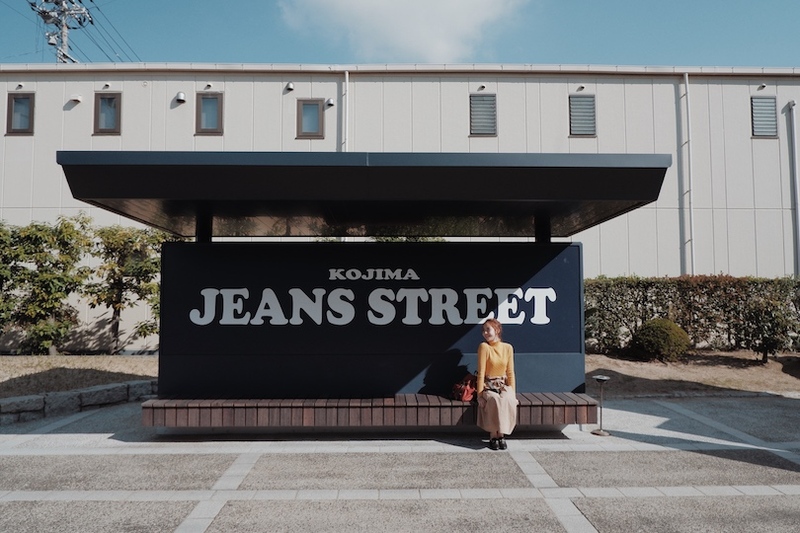 In this Kojima Jeans Street, you can enjoy touring and shopping in the jeans district. 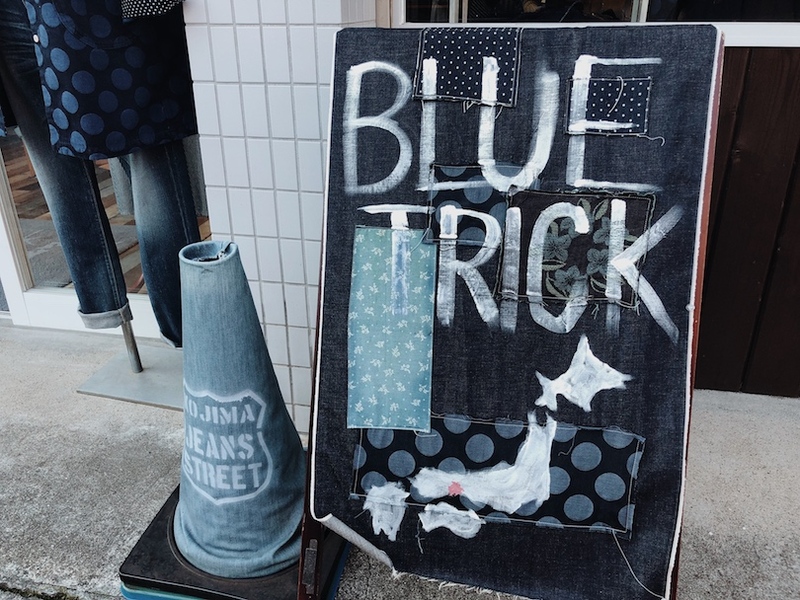 Lots of jeans makers and sellers shop here. 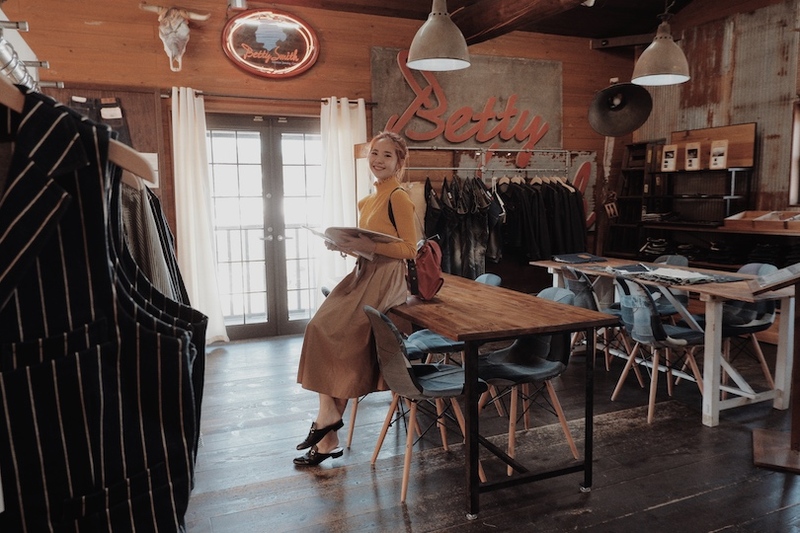 I'm sure you can find something that you love and match your style! 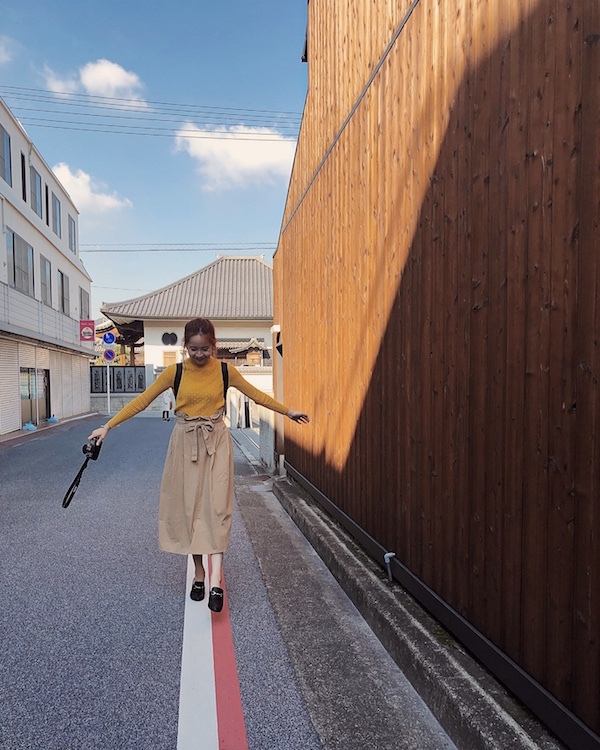 The street here is really cute. 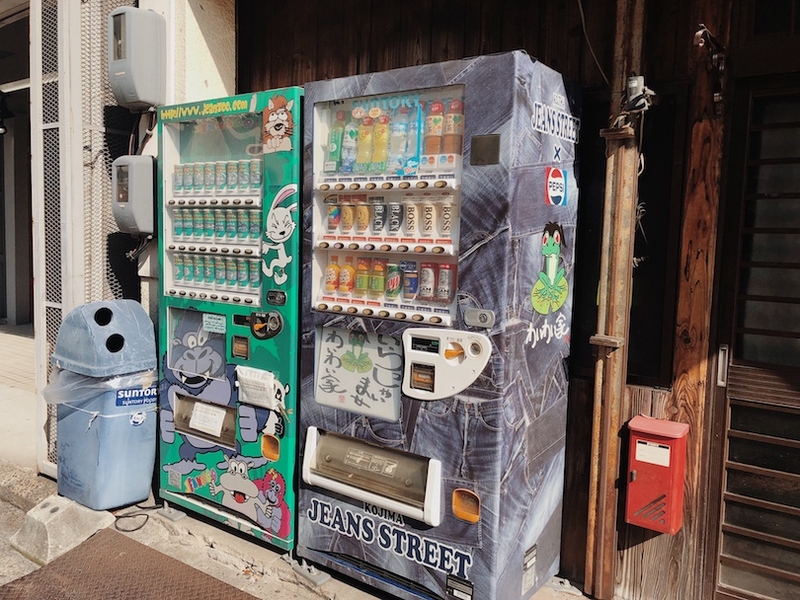 Everything including the rental bicycle and vending machine wrapped in the image of jeans. 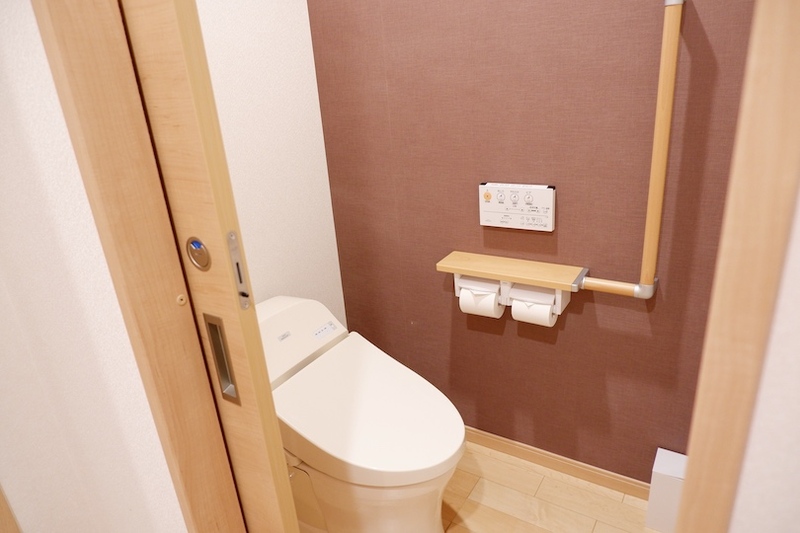 Even the toilet and the bus station too! 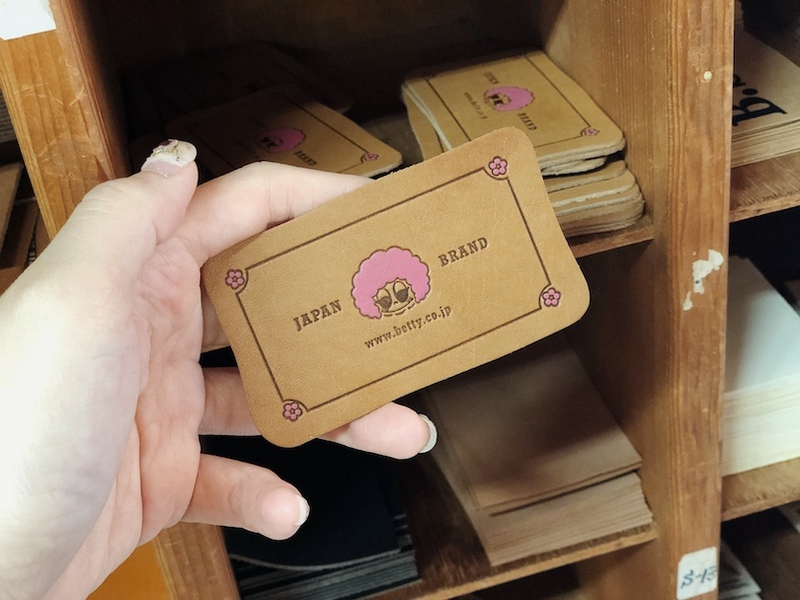 The Shop list & map! 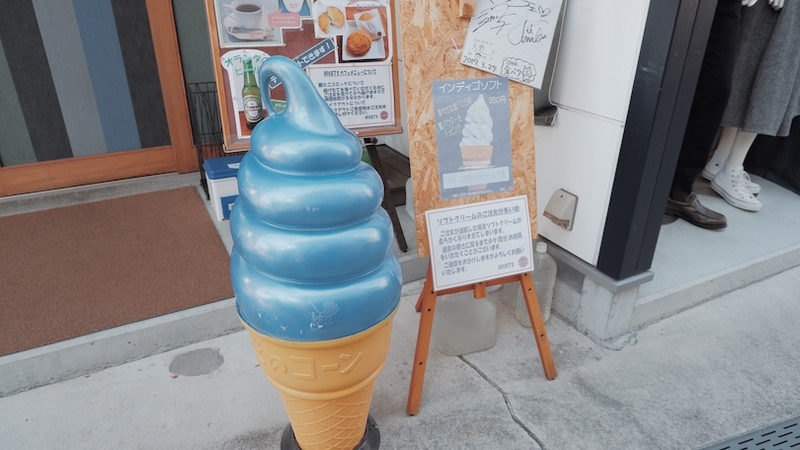 Even the ice cream in blue color lol!!! 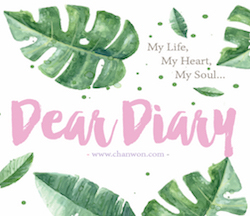 #ChanwonTips: Take your insta worthy photo here! 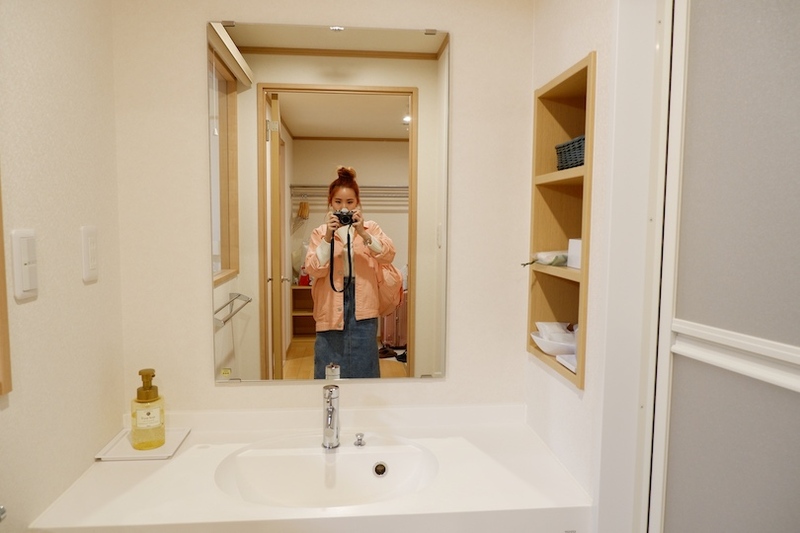 The toilet is denim theme as well lol. 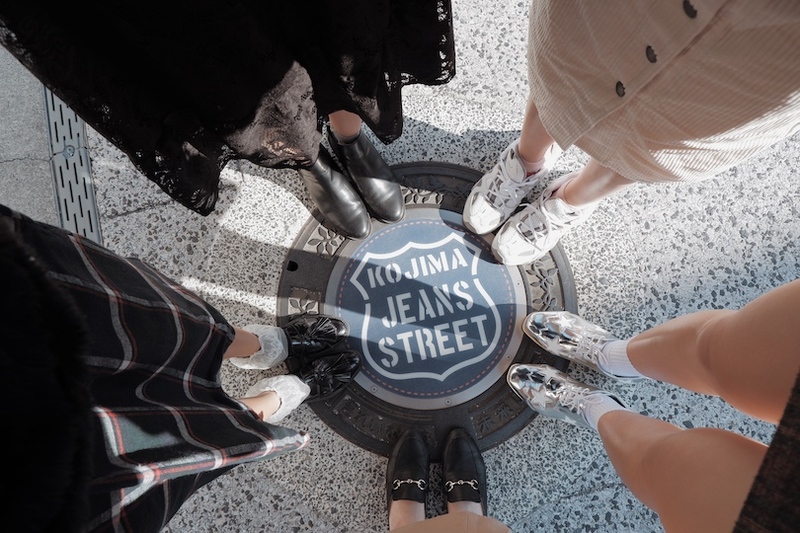 If you take note of the street of the Kojima Jeans Street, it's also denim theme!! 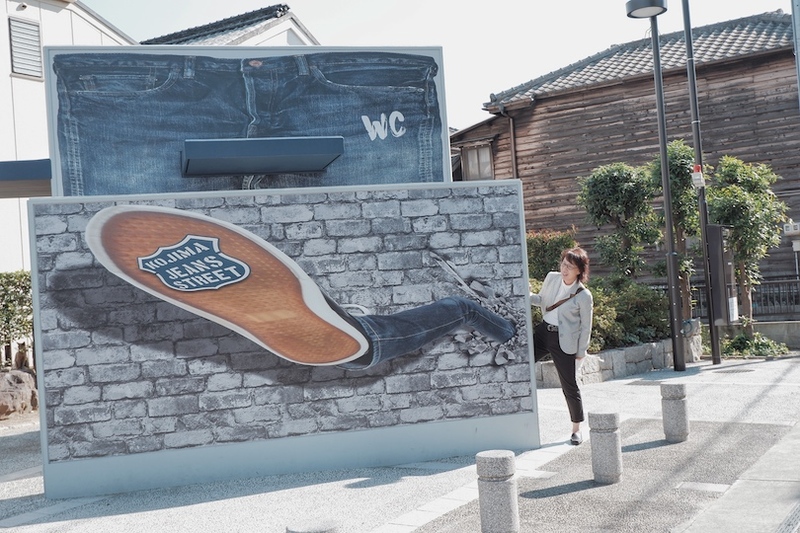 You win again Japan and there are two line here look exactly like a denim jeans. 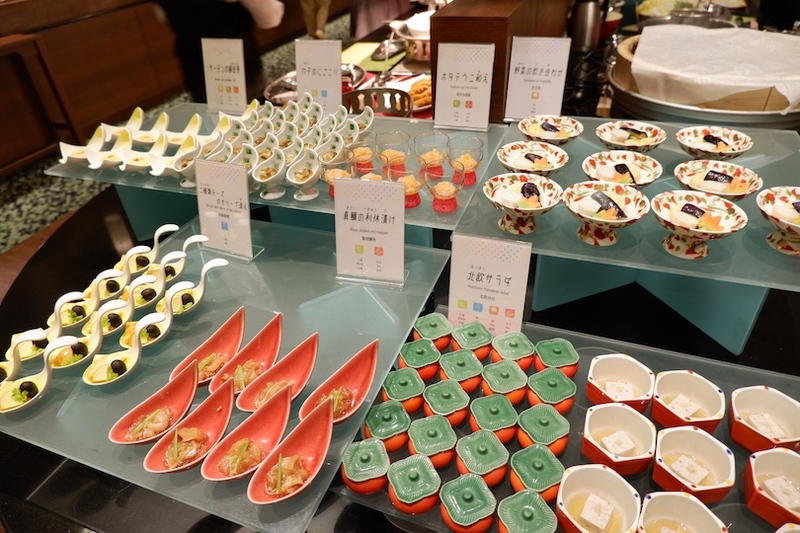 Wahlao eh, this is only in Japan!! 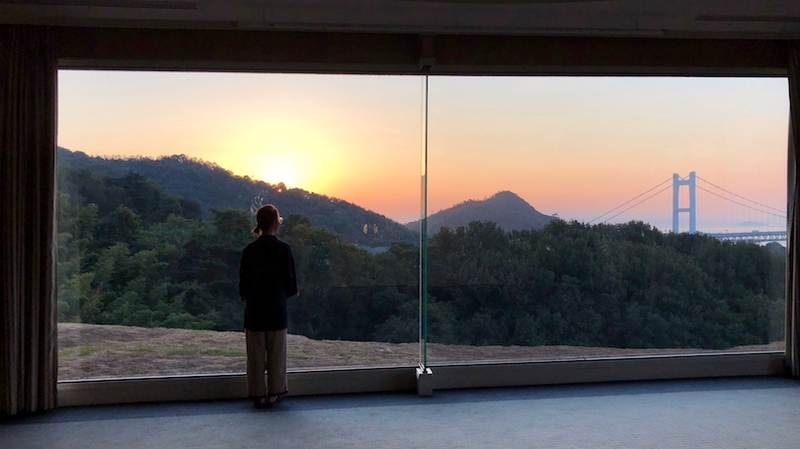 So that's all about the Part #2 Kojima in Okayama. 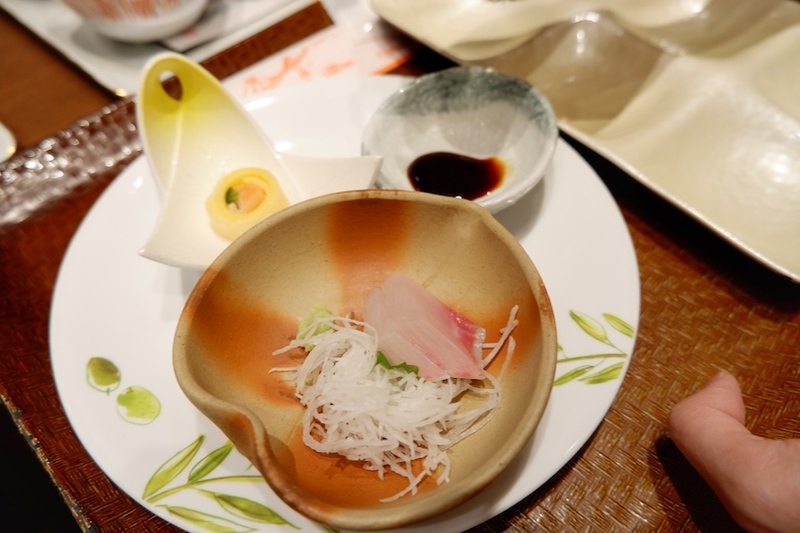 I hope you guys can experience and witness the same thing I had in Okayama. 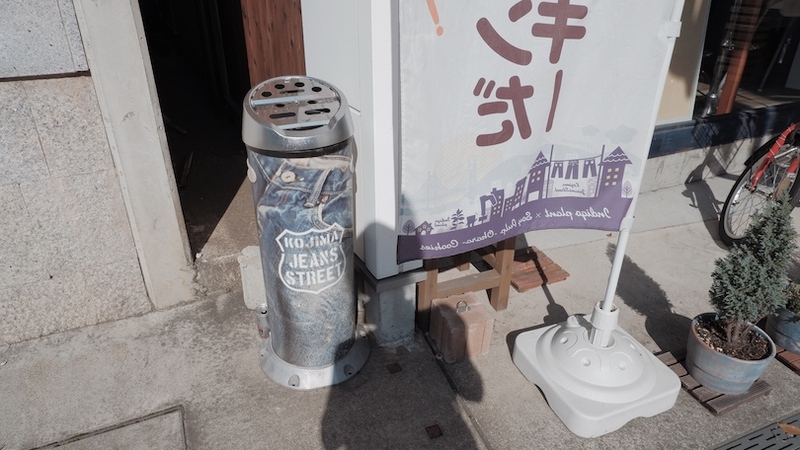 I really love all these little street and since I'm a denim lover, I really really happy to know more about the place. That's all for today. See you guys on my next post. Love, xoxo. 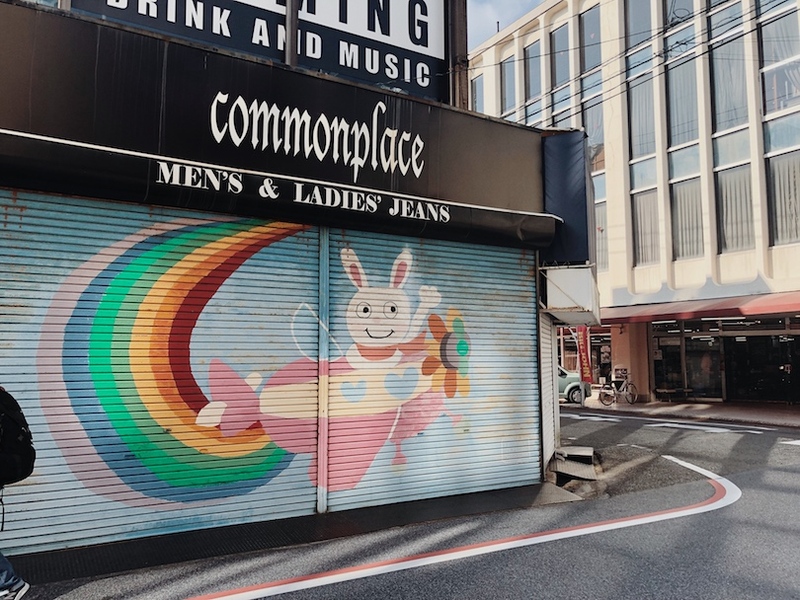 the places look so fun! !